You should describe the actionable steps practically in your blog posts. This will greatly help your blog readers to implement those steps practically on their own and find solutions to their questions. Once you have created good content you should promote your content through the digital medium. By blogging you can share your thoughts and opinions with your blog readers. Suppose for example you might be individual thinking of how to create a blog to build your own personal brand?. Now if you are keen to build your personal brand or online presence then the best way to do that is by blogging. You need to provide great value to your readers by creating content in the subject you hold immense passion and interest. Similarly, if you are a business owner you might be wondering how to create a blog for your business?. Starting a blog could definitely help you build your own personal brand or increase the ROI for your business. Many big brands and businesses have been leveraging blogging to increase their website traffic, conversions and business ROI. For example, MakeMyTrip an online travel booking company leverages blogging to increase its business revenue. When you learn how to start a blog you actually learn to add great value to your blog readers. When you start adding value to people, then you will start building a relationship with your blog readers. This relationship would go on to help you in building a highly profitable personal brand or a business. In my opinion, everyone should learn how to start a blog. Imagine if everyone starts to blog then everyone would actually end up adding value to each other in this world. Thus we would be on the verge of building a world filled with lots of informative tips, Valuable opinions, and business relationships. Also, blogging can make you a thought leader by enhancing your thought leadership skills. Now let’s get to understand some of the important aspects that will make you understand how to start a blog?. Step 1: Have a proper mindset to start blogging and learn how to start a blog. Blogging is like a business. You must put in your 100% efforts if you want to start a blog. In the early days of your blogging journey, you need to invest your 100% of your time and energy into blogging. When you are writing blogs and articles, I would advise you to get away from all the disturbances like mobile, phones etc. Stop wondering if anyone on this world would read your blog or not?. You might not get millions of visitors and blog readers in just one day after you start a blog. Even if a few hundred’s of blog readers shares your articles then it is a positive sign that your content added great value to that blog visitor. This would mean to say that you are on the correct path to earn thousands of visitors and huge revenue, income in the long run from blogging. If you implement the proper blogging tactics then eventually, in the long run, you will get lots of blog traffic and revenue. The idea here is that you have to put your efforts for blogging continuously without losing your heart. And don’t forget that you have to believe in yourself that you will succeed in blogging. When you are starting a blog it is very crucial to choose your Niche wisely. Niche blogs do better than ordinary generic blogs. When you start a niche blog you would start writing valuable content around your niche. This will give you an awesome opportunity to start generating targeted high-quality traffic for the blog. To choose a good niche first you need to have an interest & passion for your niche. For example, suppose you have a great interest in traveling. So then travel would be the niche for your blog. And so, it would be good for you to start a travel blog. Similarly just like me, if you have a great passion & interest in digital marketing then maybe it will be a great idea for you to start a digital marketing blog. The niche of your blog would be the one that you would love to spend your time on throughout your life. You should really have a great love and attraction towards your niche. So, that would help you to put your 100% commitment for your blogging efforts. So each of you reading this might have your own interest and passion. It will be great if you choose the niche for your blog accordingly to your area of interest and passion. After you select your niche, I would advise you to do good research on your niche. Go on and check out the popular blogs in your niche. See what topics they blogging on. Which type of content get more engagement from their blog readers?. Observe how the other popular blogs in your niche are presenting the content to their users. Analyze the blog marketing strategy of the other popular blogs in your niche. Also, I would suggest you to regularly read and refer the top blogs in your niche or industry. It will help you to learn new things and update your knowledge. Never try to leave or mix the niche of your blog. I have seen many new bloggers doing this mistake. At first, they start to write about digital marketing and then they move on to something like traveling and after they end up writing articles on sports. The problem with this is that when you do these mistakes your blog readers become confused about your blog. For example, suppose last month you wrote an article about traveling on your blog. Someone who is interested in traveling visits to your blog. But this month you wrote an article about finance on your blog. And now that same visitor who sawed travel-related article now sees an article on your blog related to finance. Obviously, he or she would just move away from your blog because his area of interest is traveling not finance. The idea here is that you should write for your blog readers. you should write articles such that your blog readers have interest in reading it. I understand that some of you might have multiple interests in life. let’s say for example a person might be interested in Fintech & and as well as marketing. And hence he or she is keen to write Fintech and marketing related blog posts. That person wants to understand and learn how to start a blog on Fintech & how to create a blog in the marketing niche. So, in that case, it would be a good idea to start a Fintech blog and marketing blog individually. It would be a wise idea to focus on one blog at a time. Whatever niche you choose just to ensure that you have a good attraction, interest & passion towards your niche. So you need to share your opinions & thoughts through your content about the niche that you have a piece of good knowledge. Simply trying to make blogs for money will not take your blog anywhere. Just do not try to write about all those stuff that are trending on the internet. Because if you do that mistake your blog will never become a niche blog. Instead, try to make a blog to add value to the people who are interested in your niche. Just think of creating great niche content that provides a solution and adds value to your blog readers. And this would give you a great chance of creating a profitable blog. In fact, when you are learning how to start a blog, the first step you have to do is to define a niche for your blog. The other advantage of learning how to start a blog in your favorite niche is that it will give you great advantages in the long term. Suppose you created a great niche blog after reading going through this guide on how to create a blog. And then you start putting all the efforts to create a profitable niche blog with lots of informative content. Once you have targeted traffic coming into the blog you might want to monetize your blog to earn an income or revenue. This is where niche blogs start to reap more benefits than ordinary generic blogs. If you own a niche blog you can promote products (affiliate marketing) and services that add more value for your blog readers. This will, in turn, open up a great revenue earning source for your blog. Even bigger Ad networks like Google Adsense pay a much higher income to niche blogs. Because the thing is that Niche blogs generate high-quality traffic with high income earning potential. Whereas when it comes to generic ordinary blog the income earning potential is much lower. Because generic blogs will never have a niche defined to their blogs. Hence they will never get targeted quality traffic to their blogs. This will, in turn, lead to Ad networks like Google Adsense paying out a much lower cost per click to ordinary blogs that have no niche. Moreover, generic ordinary blogs will never get the opportunity to add great value to people. Also, such blogs might not have the opportunity to earn a good income through affiliate marketing. The other question that most people have while understanding how to start a blog in a niche is that “do I need to be an expert in the niche to start a blog?”. Or do I need to have a ton of experience in the industry to start a blog?. To be frank in my thoughts to start blogging all that matters is your interest and passion towards your area of interest. Remember blogging is more of sharing your opinions in your area of interest continuously with your readers. And how you share opinions is by gaining more knowledge & experience in your niche. The best way to become an expert in your niche is by gaining more knowledge and practically implementing your knowledge on your own blog. So, the idea here is that if you want to become a great blogger then you have to be a great learner rather than being an expert. The more you learn about valuable stuff in your niche the more knowledgeable you become about your niche. And the more you implement your knowledge practically, the more expertise you gain on your niche. Step 3: Get a domain name to start a blog. A domain is an address or a website URL through which your blog readers could access your blogs. There are many top-level domains (TLD) extensions. for example .com, .in, .net, .org are some of the popular top-level domain extensions. When you are choosing a domain name for your blog you need to make some research in selecting the best domain for your blog. Because the domain name that you choose should closely be associated with your brand name or business. Let us take an example of my own blog digitalsanthosh.net. Since this blog is a personal brand for me and the fact that I write on digital marketing I had chosen the domain digitalsanthosh.net for my own blog. Similarly, you can also choose a good domain name for your own blog. But the idea is that you have to ensure that your domain name is closely associated with your personal brand. For your domain you should choose a genuine, reputed Top Level Domain (TLD) extension like .net, .com, .in, .org, .info. I would not recommend you to buy other spammy TLD extensions. Because such spammy extensions will have a reputation of being very abusive in the industry. Hence definitely it is not worth selecting a bad TLD for your blog. Moreover Search engines like Google will frequently deindex spammy domain URL extensions like .click, .bid, .ml and others. And also you will not get proper access to Domain name servers & related settings if you choose to buy a spammy TLD extension for your blog. I know that some of you might be thinking if a blog can be started for free?. And you might be thinking about how to start a blog for free? how to create a blog on a blogger for free?. There are lot’s of free blogging platforms like Blogger, Tumblr re-edit etc. In those platforms, you will get a free domain name for your blog. Because even in the early days of my blogging journey I used to wonder how to start a blog for free. I had started a blog on a free Blogger platform. At that time I really did now about how to start a blog on WordPress. I joined blogger only because they offered a free domain name for my blog. In fact, I was just writing out some bizarre articles on that blog. I will definitely talk about my mistakes and failures in the later section or later part of this guide. Because why I will be sharing my mistakes and failures with you is that I don’t want you to do the same mistakes that I did in when I was a newbie blogger. From my experience, It is definitely not worth to use free blogging platforms. Instead, I would recommend you to start a blog by choosing a good domain name through a reputed domain name provider in the industry. The problem with a free blogging platform is that they will have very less limited features. And you will not have good blog monetization opportunities on a free Blogspot platform or on Tumblr for that matter. Also if you use free blogging platforms you will have very less control on your blog. Many free blogging platforms have disappeared soon in the past. So in such type of scenario if you are hosting your website on free blogging platforms then your blog might also go down and get into problems. So, hence I would not advise you to start your blogging career through free blogging platforms. As I told you earlier, It is better and a good choice to buy a domain name through a reputed domain name provider. I generally prefer to buy domains and hosting from Bluehost. Because Bluehost packages & prices are very much economical, reliable and affordable for me. Hence I proudly promote Bluehost products on my blog to my blog readers. I do earn commissions for promoting Bluehost products. Depending on Your requirements you might also find Bluehost as a good option for you to choose a domain and hosting for your blog. At present Bluehost is offering a great 65% discount offer web hosting package. Their Package price starts from Just 2.95$ per month. And the 2.95$ per month web hosting package will include a domain, subdomains, hosting, 1-click WordPress install, unlimited bandwidth, high uptime, email accounts, 100 GB email storage space & 50 GB Website storage space. Just follow these easy steps to purchase a great domain name & web hosting package from Bluehost for your blog. 3. Select your web hosting package. You can select the basic plan for 2.95$ per month. Or you might even think of selecting higher plans depending on your budget. 4. Enter your New Domain Name. And then select Next. 5. Create Your Bluehost account by filling out the required details. If you want to have the add-ons and extras then keep the tick mark as it is. But if you find that the add-ons are not suitable for you then you can uncheck them while placing the order. 6. Scroll down and Add your Payment details. 9. Now You will be redirected to the payment gateway page. Make sure that you make the payment to Bluehost properly. 10. Open the email and instructions that you received from Bluehost to install WordPress on your blog. You don’t have to panic to install WordPress on your blog. Because Bluehost provides a simple 1-Click install. You will get to know about it once you read the email instructions from Bluehost. After following all these steps you will be ready to start working on your WordPress blog. This is actually when you start learning practically how to start a blog on a WordPress platform. The next part of this how to start a blog guide will be dedicated to the importance of choosing a reliable hosting. I will share more interesting facts with you about choosing good and reliable web hosting when you learn how to create a blog on WordPress. Step 4: Choosing the best hosting while learning how to start a blog. There is no doubt in it that a good reliable hosting is one of the key factors in starting a successful blog. But to be honest when you are new to blogging and looking to learn how to start a blog and how to set up your blog it can be very tricky to choose a reliable hosting for your blog. Always keep in mind that a high uptime is very much essential for any blog or website. When you or your blog readers visit your website to read your blog posts your website need to be up and running all the time for your blog readers. If your website is down then your blog readers cannot read your blog. This will give a bad impression on your blog readers. One of the most common reasons why a website or blog could go down is because of a bad uptime offered by an unreliable hosting. So when you are starting your blog it’s very crucial to choose a high uptime hosting for your blog. You must ensure to choose a hosting provider that offers you 99.9% uptime. It is such a crucial factor in setting up your blog that a good uptime hosting will also have a great impact on your blog marketing tactics as well. Because these days paging loading speed is an important aspect of Search Engine Optimization (SEO). From my experience, I would recommend a high uptime hosting like Bluehost for your blog. Because as I told you earlier I have had good experience in using Bluehost products. Bluehost hosting provides 99.9% uptime. And also Bluehost is an economical host. So, they are offering a very economical and affordable WordPress hosting packages starting at just 2.95$ Per month. Of course, there are other hosting providers in the market as well. But Among all the hosting providers, Bluehost provides the most reliable hosting service at the cheapest and affordable price. My suggestion to you is that If you are a beginner who is learning how to start a blog then I would advise you to choose Bluehost. Because it is the best cheapest affordable hosting provider. Later on, when your blog starts growing and earns lots of traffic and revenue you can always think of upgrading your hosting packages depending on your requirements and budget. Also, Bluehost packages include a free domain and other perks as well. So, buy a domain from Bluehost by following the steps that I mentioned earlier. Bluehost offers both domains and WordPress hosting in a single package. The total package costs just 2.95$ per month. As per reports, every one-second delay in the loading time of your blog or website will lead to 100% chances of a visitor bouncing from the website. You should put efforts and give higher prominence to decrease the blog loading time. There are many factors like avoiding rich media files, reducing java scripts, browser caching and other factors that can play a vital role in increasing the loading time of your blog. One of the common reasons for a slow loading time of your blog web pages is a slow hosting server. If the speed offered by your hosting provider is too slow then your blog web pages would take a lot of time to load. Hence while choosing a hosting provider you would have to choose a high-speed hosting provider. In my opinion, Bluehost does offer a very fast blazing speed hosting for WordPress blogs & websites. So you can definitely choose Bluehost hosting for your blog. High Bandwidth & High Storage. So, when the blog traffic grows your hosting provider should have the capacity to handle your large amount of blog traffic. Your hosting provider should offer you an unlimited bandwidth package. As you start learning how to start a blog you will obviously go on to start working on setting up a successful blog. So you start to publish more & more blog posts and promote your blog. When your blog starts to grow your blog will start getting lots of visitors and traffic. A Bad hosting provider will not be able to handle high traffic for their clients hosting accounts. This would ultimately lead to lots of loss to the blog owners & webmasters. Also, when you start publishing more and more blogs and you get more comments on your blog. So then the overall data on your blog increases. Hence you would have to understand the of choosing a hosting that offers high storage space for your blog. So, I would advise you to ensure that you select a hosting that offers high bandwidth and storage. In my opinion, at present Bluehost offers the highest bandwidth and highest storage at the best cheapest & affordable price for just 2.95$ per month in the market. Bluehost is currently offering unlimited bandwidth for the Basic 2.95$ package. Also, they offer a 50 GB Storage space which is actually sufficient for most blogs. If you need a much larger hosting storage space you can always think of upgrading your Bluehost hosting package. So you can definitely go ahead in choosing a Bluehost hosting for your website. Secured Https Connection & Security. Recently Google has taken an initiative for chrome users. Google now is blocking all the nonsecured & non-https websites. Across the globe, at least 70% of internet users are using Google Chrome. So it is very important for your blog to have a secured https connection. Suppose your blog is not having a secured https connection. Then Google Chrome browser will just block your blog on Chrome browsers. If your website or blog is blocked due to a nonsecured & non-https connection on Google chrome then obviously it would have a bad impact on your blog. Hence it is crucial to have a secured https connection for your blog. To get a secured https connection for your blog, You would need a Valid SSL Certificate. Thankfully Bluehost is offering a Free SSL Certificate to users who buy a web hosting package from Bluehost for just 2.95$ per month. And installing the SSL Certificate is very easy in the Bluehost control panel. It Just takes some 2-3 simple easy steps to install & Upload an SSL Certificate and get a secured https connection for your blog. Easy Setup & 2-Click Configuration. I Assume that most of the readers of this guide are in the beginning stage of their blogging journey. So in the beginning days of your blogging, you would obviously need to spend time on setting up your blog properly. So when you decide to learn how to start a blog and make money you would need to take a proper step while choosing a hosting for your blog. The hosting provider must allow you to set up your website easily. The hosting service provider should not make things too much technical or complicated in order for you to set up a blog on your own. Because after going through this guide about how to create a blog and make money you would probably have to focus more on creating content to your blog, promoting your content, setting up your blog design, web pages, and so many other things. But if your hosting provider asks you to do a lot of technically complicated steps just to set up your website on their hosting server then it’s definitely not worth to choose such hosting providers. Because even after charging you a monthly hosting bill, if your hosting provider asks you to do a lot of complex steps to manage the hosting then probably you would have less time to focus on your blogging activities. That would ultimately have an adverse effect on your blog. A good hosting like Bluehost will ensure that you will have less hustle in managing & setting up your hosting. Thus ultimately you will start to implement your learnings more effectively, practically through your blogging activities. Also when you have such a great hosting which offers you easy setup, you will have more time to learn about how to start a blog and make money. In my honest opinion, Bluehost hosting offers an easy setup & 2 Click WordPress install for your blog. So, if you purchase hosting package from Bluehost you can easily set up your hosting & install WordPress easily without any complicated steps and technical difficulties. Therefore I would recommend Bluehost hosting package starting at just 2.95$ per month for your blog. You must never neglect the importance of security and protection for your blog. Your blog will be hosted on your web hosting service providers server. All of your blog data and files will be hosted in the server offered by your web hosting service provider. If your web hosting provider offers a less secured hosting then your blog might face hacking & security issues. 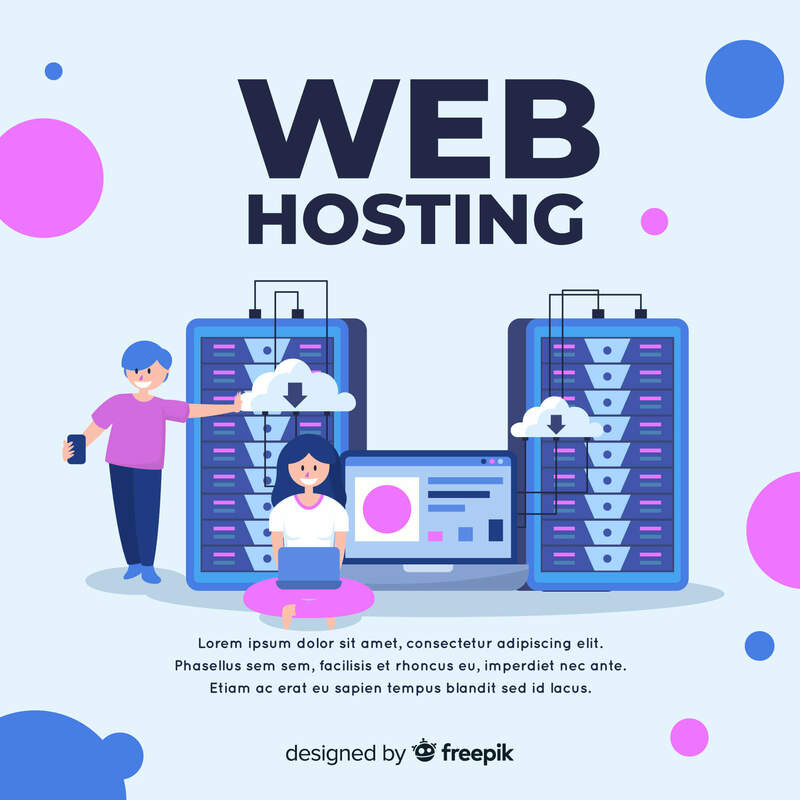 Hence it is very important for you to ensure that your web hosting provider is offering you a highly secure hosting with all the advanced hacking protection features. Depending on your requirements you can choose a reliable shared hosting provider when you are starting to learn how to create a blog?. Also, it is recommended to have a DDOS Protection for your website. For a new blog website, I would recommend the Bluehost shared hosting package which starts at just 2.95 USD per month. This Bluehost package will offer a Free SSL Certificate, Highly secured shared hosting & Good security for your blog. Bluehost has been hosting millions of websites from the past 16 years. Hence Bluehost offers one of the most highly secured shared hosting packages. Few other Tips to choose a reliable hosting for your blog. Providing excellent customer support & technical support is also one of the key aspects of reliable hosting. Because when your blog starts generating lot’s of traffic, you would obviously start earning revenue. In such a scenario, your hosting provider should give you a good support to fix the technical issues. An unreliable hosting provider will give bad support. Then this would indirectly impact your blogging efforts as well. You will then start to think of changing your hosting and this comes with so much of other headaches. Also, the hosting service provider that you select for your blog must offer a highly stable hosting. Just imagine if your hosting provides you with a bad service & your blog ends up having issues like slow load time, bandwidth issue, maintenance issue because of low-quality hosting. Then these things would start to have an impact on your regular blog readers. Because your regular blog readers will be visiting your site to consume and read your content and posts that you publish on your blog. Hence it is highly recommended to choose a highly stable hosting for your blog. In my thoughts, Bluehost offers the best highly stable web hosting. Also, Bluehost provides 24/7 customer support for their customers. Bluehost customer support team is very responsive, dedicated & very helpful. So, I would suggest you visit Bluehost to grab the 65% offer deal and purchase a hosting package starting at just 2.95$ per month. When compared with other subsidiaries Bluehost.com provides the best and high-quality web hosting service at an affordable price. Deciding to select the best content management system for your blog is one of the important steps while you learn how to start a blog for building your personal brand. A content management system facilitates publishers to create, edit & publish content on their blogs & websites. Some of the Popular content management systems are Wix, WordPress, Squarespace, Joomla, Drupal and so on. No technical knowledge is needed to learn how to start a blog. While learning how to create a blog & how to start a blog and make money you might be worried about this fact that “Oh, I don’t have the technical knowledge to run a blog or website”. The beauty of a content management system is that it does not require any technical knowledge to work with a content management system. Now you might be from a marketing background or finance background or any other Non-technical background. But you will not face any technical problems when you learn how to create a blog by using content management systems like WordPress. Because as I told you earlier these Content management systems are built in a way such that it enables nontechnical people to set up a blog or website easily. So, Basically, you can learn how to create a blog & practically set up your blog using a CMS like WordPress without any technical knowledge. Many Content Management Systems are Free. In the early days before, users needed to pay huge prices for getting content management systems. Small Bloggers, webmasters & Small business owners could not afford such huge prices. Some of them who could not afford costly CMS were relying on using Static HTML method to run their websites and blog. While few others who could not afford costly content management systems opted out to hire front end engineers and programmers to develop blogs and websites. But now with Free CMS providers like WordPress you need not to pay any money for WordPress CMS. When you purchase a Bluehost hosting you will get a Free WordPress as well. Content Management Systems can be used by any types of entities. A blogger can use the Content Management System to Publish Posts and articles. You can Create your own images & text. All these contents will be saved in the index of the database of the CMS. And these contents will be displayed in a systematic fashion. Full Control on your Content and Website. When you use WordPress content management system for your blog you will have complete full control over all of your blog content. So, after readings this how to start a blog guide you would obviously plan to publish great posts on your WordPress blog. So, in that case, you will be the admin of your WordPress blog. And only you will have the rights and permissions to publish Articles, Images & Text on your Blog. Unless you assign permission to others Nobody apart from you will have the rights to publish articles on your blog. Therefore you will have complete control on your WordPress blog when you are using a CMS like WordPress. CMS helps in collaborating with others. With the help of a content management system, you can even collaborate with other users. Suppose if you know some good bloggers in your niche. And so that you would like to invite such other bloggers to write posts on your blog. Because in the blogging field guest blogging is a very popular thing. Guest blogging helps in building credible backlinks for your website. And backlinks are an important factor to rank on google and drive a ton of traffic to your blog from SEO. It’s always is good to collaborate with others. So in this case, if you are using a WordPress content management system you can easily allow multiple bloggers to collaborate and publish a post on your blog. This would also help in delivering good high-quality content for your blog readers. What Business Problem Does your Content Management System Solve? You wanted to start a blog to Create & publish great content on your site. That’s the reason most people would want to learn how to start a blog. So your business problem is that you now need a Content Management System that allows you to Create & publish great content. To Create & Publish Articles, WordPress is definitely the best Content Management Systems. Similarly, if you have any other business problems you can choose a CMS that fulfills your business requirements. For example just like how WordPress is a great CMS for publishing blog articles, Magento is a great CMS for e-commerce owners. So, Ultimately you should be choosing a CMS that provides a solution to your business problems. As, I said earlier after reading this how to start a blog guide, If you plan to publish great articles on your blog then I would definitely recommend WordPress content management system for your blog. The content management system that you use should allow you to integrate your tools easily. For Bloggers, tools are very much essential. Blogging Tools are nothing but software products that can be utilized for a specific purpose in your blogging journey. To say some examples of tools are Monster Insights, Yoast and so on. So hence the CMS that you choose for your blog should allow you to easily integrate your blogging tools. According to me from my experience, I would say WordPress is the best CMS when it comes to integrating tools. Be it an SEO tool or an Analytics tool or an Email Marketing tool or any tool for that matter can be easily integrated with WordPress. Most bloggers rely upon SEO (Search Engine Optimization) to drive targeted traffic to their website. Because many bloggers while starting up will not have a huge budget to promote their blog through paid advertising. Since SEO is all about driving free organic search traffic, bloggers need not pay any money to get targeted traffic to their blogs by using SEO. Some of the key components of On-Page SEO is updating heading tags, title tags, updating meta description, updating meta titles and more. So, hence it is good to select a CMS that supports SEO Activities for your blog. Here Again, WordPress stands out. It is one of the greatest content management system that will support all of your SEO efforts without any flaws. Ensure that the CMS you are using has a larger community. because in case if you need any help or support while managing your content management system you would need assistance from the community members. With over a billion WordPress blogs and thousands of themes, WordPress does has a large community of members. Step 6: Selecting WordPress themes & Customizing your blog. WordPress themes help you to customize your WordPress blog without any coding knowledge or technical knowledge. The themes help in displaying your website content in a good responsive fashion as specified in the theme templates. If you choose a WordPress content management system for your blog, then you will obviously get an opportunity to install good free themes to your blog. There are both paid WordPress themes & free themes available in the market. For starters & beginners who are learning how to start a blog, A free WordPress theme is good enough. I would recommend you to use the radiant theme or the shaped blog theme for your blog. Both of these themes are free themes. And themes can be installed easily. Also, those two themes have a good reputation in the market. If you want to explore more free themes you can go through this list of best 70+ free WordPress themes. But if you need more advanced features & premium features you can opt for paid WordPress themes as well. Many good Free WordPress themes can be easily installed from your WordPress dashboard. In this how to create a blog and make money guide, I will definitely guide you install themes for your WordPress blog. Without installing a theme you cannot move ahead to learn & read this how to start a blog guide. So, please do ensure that you have Practically performed & completed all the steps (Step 1, Step 2, Step 3, Step4) that I have mentioned Above in this how to start a blog and make money guide. Because if you have performed all the previous steps then it will become a lot easier for you to proceed forward to install themes and manage your WordPress dashboard. Follow these simple steps to install WordPress theme & do customization your blog. Remember to replace “yourdomain.com” with your blog domain address. That link will take you to the WordPress login page. Enter your WordPress login credentials. Or if you have found any other theme which you feel is a better option for your blogging project then you can enter that theme name in the search bar. If in case you decide to choose any other theme from the popular list of themes or featured themes you can go ahead. But from my experience of blogging, I have found that radiant theme & shaped blog theme are good choices. Scroll over your selected theme and Click on Install Theme. Again go to Appearance & Click on themes under Appearance. Hover over your Theme and Click on Activate Theme. After you finish these steps you would have successfully installed a theme to your WordPress blog. Now the next step is to customize your WordPress blog. Once the themes are installed, your blog will be appearing with a default theme design. So in this how to start a blog guide, I will now guide you to customize your WordPress blog design. Click on Customize under Appearance. Enter Your Site Title & Tagline. For example, to my blog Digital Santhosh, I have a Tagline “Best Digital Marketing Consultant In India”. Your Site Tagline should be something that you want people to recall or remember you in a positive way. So, I want people to remember and recall me as “Best digital marketing consultant in India”. So hence I have chosen it as my tagline. Similarly, you can choose a tagline for your blog depending on your thinking. Also carefully chose the site title. Because that would be something closely associated with how you want people to recall your personal brand. Upload a logo and short Icon. Your Blog definitely needs a logo and a short Icon.The logo of your personal brand gives an identity to your blog. Logo helps a lot in branding your blog. Basically the logo you design for your blog should give an idea about what your brand or blog is about to the blog readers. You must try to get inspiration by checking out the logos of other popular blogs in your niche. That way you can draw some ideas to create a good logo for your blog. You can easily create a logo for Free by using tools like Canva. Canva is a tool which provides easy drag and drop interface to create logo, images, and graphics. If you are not a professional logo designer then you don’t have to panic. By using Canva you can create a creative logo without any professional expertise in graphic designing. Canva is basically a freemium tool. So, you don’t need to pay any money to create a logo with Canva. But if you are looking for advanced premium features of Canva to create logo then it would cost a few bucks. Also, You won’t need any technical knowledge to create an awesome logo with Canva. The tool helps marketers & bloggers to create a logo, facebook image posts, social media graphics, featured blog images and more. Just go to Canva and create a free account. And then login to your account. Enter “Logo” in the search bar. Make use of all the fonts, styles, elements, attractive background fonts, graphics to create a nice looking logo for your WordPress blog.Likewise, you will be also able to create a short icon to your blog. In the latter part of this how to start a blog on WordPress guide, I will definitely guide you and explain thoroughly with the practical usage of blogging tools like Canva. Make sure that your Logo size and short pixel size fit’s in properly for your blog. Once you have created a logo and short pixel, Just upload them to your blog. To upload your Logo, just follow the simple steps. Click on change image under “Upload Logo” in your Site identity Menu. Go to upload files & select the files to upload your logo. Follow these steps to customize your WordPress blog. Go back to the Customization Menu. Click on the Colours Menu and Choose the appropriate Anchor color, theme color, background color, anchor hover colors for your blog. Click on General Settings under the Customization Menu. Select all the relevant settings. Click on Social Media Settings and include all your blogs social media profile links. Add all the relevant details in your footer section. Select Menus and Add all the Categories and primary menus. You don’t have to panic if you stuck up in creating menus to your blog while doing customization. Because in the upcoming part of this how to start a blog guide, I will be teaching you to add all the necessary pages & menus, widgets to your blog. Your Blog design matters a lot for your website visitors. The design of your blog would help in building trust with your readers. Moreover, to give a great user experience to your blog users, your website design must be mobile responsive and easy to navigate. Nearly half of the searches happening on Google is from mobile devices. So, your blog design should be mobile responsive. While designing your blog you should make use of menus, logo, buttons, sliders, Right Sidebar, navigation bars, relevant landing pages, images and so on. And you must choose appropriate background colors, colors for buttons and menus. Just ensure that the colors do not contrast with your text. I always think that white and black is the best color combination. And I prefer to have red color for anchor hover colors and for buttons as well. Basically, the colors should look fine with the overall design of your blog and as well as text. The colors should not contrast with each other along with the text and cause readability issues for the blog readers. The home page of the blog is very important. So, it has to be designed with proper attention. There is no one formula to design a blog’s home page. Some people like me would love to show our recent blog posts on the home page and include widgets for popular posts, blog categories, about me sections, add widgets for list subscription and have a popup on the top for collecting leads. And then I would like to add separate menus for service section and blog section, contact section menus. Because I think this works well for simple easy navigation to blog readers. While other bloggers would love to have cool relevant image sliders on their home page, testimonials, videos, lead magnets with offers and so on. This can also work well. This type of design strategy will make your home page look very visually attractive and get more leads. In general, the design of a blog would consist of 3 sections namely Header, Body, and Footer. The header is the top section of your blog. The header usually consists of logo & menus. The body section is where your blog content appears. All your blog posts, text, images, widgets would appear in the body of the blog section. Footer is the bottom section of your blog. You can hyperlink your blog categories or service categories in the footer section. And then you can even add links to your social media pages in the footer section. Many people do like to display their contact details and address in the footer section of their website. Step 8: Add the required pages, menus & widgets to your blog. WordPress Pages helps blog visitors to find relevant information easily by navigating across the blog pages. Who is the Blogger behind this Blog? How to Contact the Blog owner? Does this Blogger provide a professional consulting service? What Topic does this Blog Cover? Where is the Blog Section? Does the blog provide Guides or Course? So, similarly, a new blog visitor will have many such questions in his mind when he first visits your blog. These questions of your blog reader can be very easily addressed by creating a relevant home page, Blog page, About me page, Contact Page, Consulting Service Page, Adding blog categories and so on. Because that would help the blog visitors to navigate to find relevant information on your blog. Now let’s understand to create relevant pages & fill it with relevant information while learning how to start a blog. Click on Pages in the left menu. Next Click on Add New under Pages. Now the Page Title You will add would depend on the purpose for which you are creating the Page. For example, if you are creating a contact page then the page title could be “Contact”. If you want to create a page that talks about yourself then the page title will be “About me”. Similarly, if you are creating a Home page for your blog then the page title can be “Home”. Likewise, if you are creating a Consulting service page, you should be adding the relevant page title that is closely associated with your professional service. Add relevant information to your pages. Now you have created a blank blog page. When you learn how to create a blog by referring to this how to create a blog on WordPress guide you would want to create relevant pages with detailed information on your blog pages. So, it’s time to add relevant data to your WordPress blog pages with the help of images and text. An About Me Page should ideally consist of details & information about your profession, what you do, your interests, your location, brands that you have worked with (if any). Basically, you should be defining about yourselves in the About Me Page. You can also Add your professional photo or your headshot photo in the About Me Page. 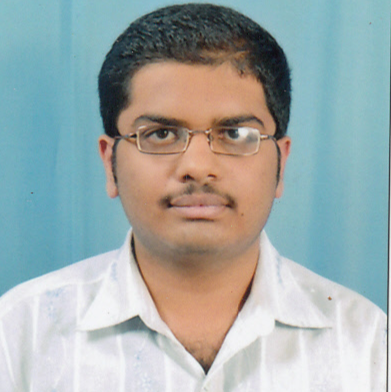 To get More Clarity on adding relevant details About Me Page, you can refer my Blog’s About me Page. But to ensure that your blog pages have original content. Do not copy and paste duplicate content for your blog pages. Because Google hates Plagiarism. Your Consulting Service Page should Contain brief details about the service you provide, your testimonials, details about your area of specialization or expertise (if any). If you want to rank on Google through SEO to get more customers for your blog consulting service then you should write a well-researched SEO optimized article. SEO optimized Consulting Service page for your blog. You will understand better how to write an SEO optimize article in the later part of this how to create a blog guide. But for now, keep your focus and attention on learning and creating pages properly. So, next similarly if you wish to create a contact page, you should be adding your contact details in your contact page. To create a custom home page you should design a great looking home page with relevant graphics, images & text. Similarly, if you want to create a blog page to display your blog posts for your blog readers then you can create a page with the title “Blog”. Likewise, if you are providing a guide or course to your blog readers you can create a relevant page for that as well. Suppose for example just assume that you are providing a guide on your blog about “How to start a blog” Or “How to create a blog and make money”. Then Perhaps you can create a page by Adding Title “How to Start blogging guide”. And then you will go on adding all the relevant information, images, text for your blogging guide page. You can surely refer to my own how to start a blog guide page to get an idea about creating a page for your course or guides that you provide on your blog. Similarly, you can create WordPress pages for any specific purpose. But the idea remains the same. And that is to add & provide relevant data and information on your WordPress pages for your blog readers. Finish editing your pages & Click on Publish Page. I know that by now there should be a lot of questions popping in your brain. Some of your questions could be related to creating customized WordPress landing pages, managing the blog efficiently, adding checkout and payment gateway for the paid courses and guides that you offer through your WordPress blog. But Again, Non-need of getting worried or panicking, I will take you through each and every step. The next part of this how to create a blog and make money guide will be about plugins that will help you to manage your blog efficiently without technical knowledge and provide solutions to your blogging requirements. Before proceeding to learn about Plugins in this how to start a blog guide, let’s learn about creating menus and widgets in your WordPress blogs. Menus help your blog readers to navigate easily through your specific blog pages. You can create a menu for each and every specific section for your website. For example, You can create a menu for your blog section, and a separate menu for consulting service section as well. Click on Appearance on the left side of your WordPress dashboard. And then Click on Menus. Select all the pages that you want to add to the menu & click on Add to menu. If you wish to add Submenu under the main menu then in the menu structure you should drag and drop the sub-pages under the main menu. Once you finish adding all the Menus, Click on Save Menu and you are done with Adding Menus. WordPress offers you many widgets for your blog. Widgets in a WordPress blog generally appear in the Blog Sidebar or Page Sidebar. Some of the commonly used must have widgets are Recent post widget, WP Subscribe Widget, Archives Widget, Categories Widget, Search widget and so on. To Add a Widget Click on Widget Under Appearance. And then drag & drop your Widgets to the Blog Sidebar or the Page Sidebar. To create Categories click on categories under Posts and proceed with the process. Refer to the below screenshot to create relevant categories for your blog. So since I own a digital marketing blog, I have created various categories for my blog posts like inbound marketing, email marketing and so on. WordPress Plugins helps in performing specific tasks on your WordPress website without any coding knowledge & technical knowledge. Suppose you start implementing your learnings practically on your WordPress website after reading this how to start a blog guide. So, then you would come across issues and challenges like browser caching, image optimization issue, blog Post On Page-SEO optimization, Blog Comment Moderation issue and many more issues. In fact, all these types of issues in your WordPress blog can be easily solved when you start installing suitable WordPress plugins on your blog. So in this section of the how to start a blog guide, I will take you through the steps to install the Plugins and also I will share brief details about 25+ Great WordPress Plugins that will help you to learn how to create a blog & manage a WordPress blog efficiently by using suitable WP plugins. Most of the WordPress plugins can be installed for free. If you need advanced features you can always upgrade your plugin subscription. 25 Popular WP Plugins and their importance. This Plugin will help you create Accelerated Mobile Web Pages for your WordPress blog. Mobile users would always need a faster website experience than desktop users. So, suppose if your blog is not mobile responsive and contains lots of java scripts & codes which are slowing down your website load time then this will definitely impact your blog mobile users in a negative way. Also if your blog users have a bad experience on mobile then that will lead to a decrease in Google search rankings for your blog, which ultimately leads to loss of traffic and revenue for your blog. So, the Solution to create Mobile friendly web pages is to Install the Accelerated Mobile Pages Plugin For Free on your WordPress Blog. The AMP Plugin would ensure that your WordPress blog will load fastly and responsively on mobile devices by trashing out all the unwanted junk files, unwanted java scripts, unwanted codes, and others. Just Follow the below steps to install & manage the Accelerated Mobile Page Plugin in your WordPress blog. Click on Plugins on the left side of your WordPress dashboard. Enter AMP in the search bar & Hit Enter Button. Now you should be able to see the AMP plugin along with other related Plugins in the Search results. Click on Install Button for the AMP Plugin. The same procedure is to be applied to install any WordPress Plugin in your blog. The thing is that you will have to enter the plugin name in the search bar and install & activate them. Now to Manage the AMP PLugin & Setup your AMP Settings Follow these steps. Click on AMP on the left side of your WordPress Dashboard. Go through and read all the Setup & Settings instructions For your AMP Plugin. This would help you understand better. Click on Run Installation Wizard. Select and upload your logo to the plugin. Select all the Posts and pages, categories which you want to implement AMP. Link your Google Analytics Account to AMP. I have written more about Google Analytics in the later part of this how to start to blog to make money guide. So, please ensure that you check it out. And that’s it. You have successfully Setup AMP (Accelerated Mobile Pages) for your Blog. Once you are done with Step 7, you will be inside the AMP Dashboard. So here now you can start making all your customizations for the AMP Plugin. If you wish to keep the default AMP Plugin settings then you can just keep every setting as it is without changing it. Remember that the installation procedure will remain the same just like you did for AMP. However the plugin setup procedure & plugins features, advantages will be different for each and every individual plugin. So, I will be focusing and writing more on that in this how to create a blog to make mone guide. Autoptimize is a WP Plugin that automatically optimizes your website performance by minifying JSS, Cache, Fonts, Html scripts and so on. The usage of this plugin is very simple & straight forward. After you have installed the plugin in your WordPress dashboard, you will able to see the Plugin Icon on the top side of your dashboard. Just Click on the Autoptimize plugin on the top of your dashboard. And then Select Delete Cache. This would ensure that your website gets automatically gets optimized by deleting unwanted cache, JSS, fonts, and others. The Autoptimize plugin is available for free in WordPress. BJ Lazy Load is a Free WordPress plugin which helps to load your website faster by doing image optimization. When you want to learn how to start a blog and make money you must also give prominence to learn image optimization techniques to increase your blog loading speed. So, the objective behind the BJ Lazy load plugin is that it optimizes your blog loading speed by loading the images as your blog readers go on scrolling the web pages. Hence your blog will not have to load all your blog images while loading a web page for your blog reader. Instead, with the help of BJ Lazy Load Plugin, your blog will start rendering Images to your blog readers as in when they scroll down to various part of your web pages. This really does help in a great way to increase the website loading time & as well as to do image optimization for your blog. Disqus is a Free WordPress plugin that helps to increase engagements & loyalty with your blog readers through blog commenting. Before explaining about the Disqus Plugin let me give you a brief idea about Blog commenting. You would want to start implementing your learnings practically on your blog. Then one of the challenges that you will come across is to do blog comment moderation & as well as to regularly engage with the blog readers by replying to blog comments. When your blog starts to grow, it will start receiving more and more blog readers. Your delighted blog readers would obviously want to appreciate your efforts. And some of your blog readers might also have few questions in their mind after going reading your blog posts. So your blog readers will comment on your blog posts to ask their questions & also to express their delight at times. When your blog readers are posting questions in the form of comments & expressing their delight in the form of blog commenting you as a blogger should definitely appreciate such activities. In fact, you should also engage with your blog readers by replying to blog comments. So, to reply to your blog comments and to moderate the blog comments you should use the Disqus Plugin. Also, search engines are known to deindex blogs and websites that have a lot of spam comments. So, by using Disqus it helps you to avoid spam comments on your blog. Note: Another famous Free plugin to avoid spam on your blog comments is askimet. MonsterInsights Plugin helps you link your Google Analytics account to your WordPress website. Also, it helps to analyze and track your website data very effectively. You can easily download the MonsterInsights Plugin For Fre to your WordPress Dashboard. Aso, after you install the plugin you just need to first signup to Google Analytics account & then enter your Google Analytics ID in the MonsterInsights Plugin Dashboard. And this will help you analyze and track all your Website data through your MonsterInsights Plugin Dashboard. Google Analytics is an analytics tool that helps you track and analyze your user behavior, website data, User demographics, geography, and other things. The Google Analytics tool can be integrated with various google Marketing products like Google Ads, Google Merchant center, Google Tag manager and so on. You will understand more about the Google Analytics tool in the later part of this how to start a blog and make money guide. So, please do ensure that you continue to read and check out the later part of this how to create a blog guide as well. Hello Bar is a popular tool which helps to capture leads through effective lead magnets and Popups. Hello bar helps in building an email subscriber list for your blog. If you want to drive more traffic to your blog via email marketing then you would have to build a segmented list of email subscribers. Hello Bar has both free versions and paid version as well. First, you Need to Create an account with hellobar.com. And then you should install the hello bar plugin and integrate Hello Bar tool to your WordPress Website. I will be explaining more about Hello Bar from a strategic point of view. Because the integration and installation of Hello Bar are self-explanatory. And you would have to follow some simple steps from your hello bar instruction guide to install hello bar on your blog. Create an Account at https://app.hellobar.com & install the hello bar plugin to your WordPress dashboard. Click on Settings on the left side of the hello bar dashboard. Next Select the Goal for your Popup. If you want more email subscribers then select Goal as Collect Emails. “Bar” means that the popup will be displayed in the top of your website. this is a better option for creating a mobile responsive popup. “Modal” means that the Popup will be displayed in the Middle of your website. “Slider” Means popup will be displayed on the bottom right or bottom left side of your website. “Page takeover” Means that the popup will be displayed in Full Screen. “Alert” Means that a small floating button appears in bottom corners of your website with an alarm sound. Use All your creativity to enter content in the text field & customize the Bar styling, button styling, and other things. The strategy always here is to ensure that you add Great value to your blog readers with the help of popups. Your Popup should not be something that tries to sell some stuff. Instead, you should design a popup in a such a way that the Popup should add value & provides a solution to your blog users problems. For example, to a marketing blog like Digital Santhosh we can use popups with lead magnets like “Get Free Marketing Tips”, “Would you like to grow your business with Digital Marketing?” to get higher conversions and email list, subscribers. Ensure that your Popups are GDPR complaint. Select when you want your popups to be displayed for the users. Exit intent Popups are known to give better results. Select the Targeting Settings for your Popup. Integrate the Popup with MailChimp. You don’t need to worry if you don’t know about MailChimp. So, please ensure that you keep on reading further this how to create a blog and make money guide to check out about MailChimp tool. One of the most common challenges that you might face with your blog after learning how to start a blog on WordPress is browser caching. Browser caching is a bit technical thing. But with the help of great free WordPress Plugin like Humming Bird you can now easily implement browser caching to your WordPress blog without any technical knowledge. So suppose your blog visitor visits your website today. If you are implementing browser caching technique through the plugin. then Hummingbird will store a cache of your blog webpages in your blog visitor’s web browser. By that way, when next time your blog visitor visits your website Hummingbird will display a fast loading cached web page to your blog visitor. The Browser caching technique will help in increasing the site loading speed of your website. Remember that website loading speed is also one of the prominent On-Page SEO Ranking factors. Also, Humming Bird Plugin offers you various other features like Gzip compression, Asset optimization and so on. The Hummingbird plugin is available for free and you can easily install the plugin to your WordPress dashboard. MailChimp is an email marketing tool that helps you to store your subscriber’s contact, email and other relevant details. You can easily connect your WordPress forms & WordPress subscribers widget to Mailchimp by using Mailchimp API. The MailChimp Plugin is available for free in WordPress. Also, you can use MailChimp to regularly send blog updates to your blog subscribers. I will be showing you the practical steps to set up and use MailChimp tool for your blog in the latter part of this how to start a blog guide. So, please do ensure that you continue to read the entire part of this how to create a blog and make money guide. Merge+ Minify + Refresh is a free WordPress plugin that helps in minifying CSS &. The plugin is available for free to install on your WordPress blog. Every blog should have a contact form on the contact page. so that it allows your blog readers to easily contact you by submitting the contact form. So suppose after reading this how to start a blog guide, you would perhaps launch a great blog and start offering consulting service in your specialized are through your blog. Or you might even provide interesting, useful guides and courses through your blog to your blog readers. So, in that case, people would want to first contact you before they either opt-in for your consulting service or courses and guides. For this purpose, you would need a contact page on your blog. phone number, Mobile, email id and address to your blog readers. So, the solution to implement contact forms on your WordPress blog is to use a free WP plugin like Ninja forms. Ninja Forms helps you build and publish relevant contact forms for your WordPress blog. Also, the data submitted through the Ninja Forms will be safe and secure. Sharify is a WordPress plugin that enables social sharing buttons on your blog posts. You will definitely want to write great articles on your blog by learning and practically implementing the blogging tactics mentioned in this how to start a blog guide. So, implementing social share buttons will help in increasing your brand’s social media visibility. As per the reports, there are nearly more than 1 Billion active people on social media site like Facebook alone. Your blog will definitely start to get more and more targeted social media traffic when your blog readers start to share your blog posts on various social channels. So, hence it is crucial to know the importance of social sharing buttons when you are learning how to create a blog and make money. You can easily install Sharify Plugin for your WordPress website. At present Sharify provides an opportunity to your blog readers to share blog posts on Facebook, Twitter, Google Plus, Pinterest, re-edit, Pocket & Linkedin. At times you would find the need to redirect your blog pages to specific web pages of your blog. Page redirecting will become a technical work if you do not use appropriate plugins. easily redirect your blog webpages to specific web pages of your blog. The Page Links to Plugin is available for free on WordPress. To redirect any web pages of your blog, Just follow the simple steps. Install the Page Links to Plugin. In your WordPress dashboard go to pages. Click on to edit the page that you wish to redirect to another page. Scroll down through the editor section of the page. You will find a field or an option Page links to or Page points to. Enter the redirected destination page Url in the above-mentioned field to redirect your page. Sunny landing pages is a free landing page builder tool. The sunny landing pages WordPress Plugin is available for Free which you can easily install to your blog. Landing pages help in converting your blog visitors as your leads. Once you start to regularly do blogging after reading this how to start a blog guide you might want to sell guides or courses or offer consultancy service in your areas of specialization. So for each of your products or service that you offer through your blog, you can build relevant customized landing pages. If you want to increase your blog conversions and sales then you should build relevant customized landing pages for your blog. Include only one CTA button on the landing page. Multiple CTA buttons will confuse your blog readers. Explain your service with the help of pointers, images, and videos. Don’t write big paragraphs to explain your service. People prefer to consume content written in pointers, videos, and images. Include your testimonials and social proof on your landing page. Address the risks and pain points that are blocking your customers from moving ahead and buying your products or opting in for your service. For example, most people feel it is risky to submit credit card details to test a free trial or free versions of a product or a course. So you can mention “No credit card details required” in your landing page to address the risk issues of your customer. The other advantage of using the sunny landing page plugin is that it can be easily integrated with Google Analytics as well. So this will help you easily track the conversions and visits happening on your landing page through Google Analytics. Also, sunny landing page allows you to create custom landing pages without any technical knowledge or coding knowledge. By using Sunny landing pages you can easily create customized visually attractive landing pages with easy drag and drop feature. So, you should just create a free account with sunny landing pages and install their WordPress plugin to build a customized landing page for your blog. This is a free WordPress plugin which help’s in displaying the author’s information below each and every post on your blog. So when your blog readers finish reading your post they might want to know about the author of the blog post. So by using this plugin, it will display a small introduction about your and your professional details below every post. This is the messenger era. People love to communicate through messenger than other communication methods. Hence when you are setting up your blog after reading this how to start a blog guide, It would be good to implement automatic messenger feature on your blog. One of the popular automatic messenger tools is the mobile monkey. There is a free version of this tool. You can integrate mobile monkey on your WordPress blog with the help of WP Chatbot plugin. First Signup at Mobile Monkey and create an account. Then set up your Chat Bot settings with Mobile Monkey by using all the customizations and features. And then you need to install the WP Chatbot plugin. In the settings section of your WP Chatbot plugin enter your Facebook page Id & application Id. Also, ensure that you have whitelisted your domain name & mobile monkey domain name in your facebook messenger settings. Now you might question me that there are so many messenger tools. But why is that I should implement mobile monkey tool on the blog after reading this how to start a blog and make money guide?. The thing with other other auto messenger tools like opt-in chat is that they do not allow you to take up the chat with your website visitors at a later time. So, suppose you were offline but your website visitor left a chat and sent his email id. The advantage of mobile money in such a situation is that you can directly continue the chat with your website visitor later on by sending them a message to their facebook messenger. But whereas when you use other tools like an opt-in chat you will have to end up by emailing or calling your visitors who left an offline chat. There is no way to take up and continue the chat will your offline chats if you use other tools like Optin chat. Remember that in this digital era people prefer & love more to reply to a brand’s facebook messenger message rather than replying to a companies email. And also in the middle of a meeting, people hesitate to answer a phone call from a company representative. Hence contacting your offline chat visitors through facebook messenger is the best method to start your business relationship with your potential customers. So, hence opting out to the mobile monkey is a better option while you implement automatic messenger feature for your WordPress blog. Under blogging tools section in the later part of this how to start a blog guide, you will understand better in detail about the step by step practical implementation of the mobile monkey tool. So, just continue reading this how to create a blog and make money guide. Subscribers is a pushup tool that helps you send pushup notification for your subscribers every time you publish a new blog post. You would first need to create a free account with subscribers, set up your settings and then install the free subscriber’s plugin for your WordPress blog. I know the fact that the main reason you are learning how to create a blog or how to start a blog on WordPress is to publish quality content and get targeted traffic to your blog. Now with installing and activating subscribers plugin on your blog, you will be able to drive more and more targeted returning visitors to your website. The Subscribers tool will display a push up to your website visitors. If your website visitors agree to accept the pushup notification then such visitors will be added to the subscriber’s list. Every time when you publish a blog post the subscriber’s tool will send a pushup notification to the browsers of your blog visitors. So, that your blog visitors can click on the push-up notification to come back to your site and read your blog posts. This will play a very crucial role in increasing the returning visitors for your blog. Under blogging tools section in the later part of this how to start a blog guide, you will understand in detail about the step by step practical implementation of subscribers tool. So, just ensure that you continue further to read this article about how to create a blog on WordPress. Cached pages load faster than noncached pages. hence using WP Fastest Cache Plugin to cache your blog pages and provide fast page loading experience to your blog readers is a good option. WP Fastest Cache is a free WordPress plugin. Other alternatives of WP Fastest Cache Plugin include WP Rocket Plugin, WP Total Cache Plugin and so on. WP Subscribe is a free WordPress Plugin that allows bloggers and webmasters to collect subscribers email through relevant subscriber forms. The WP Subscribe Plugin can be easily integrated with Mailchimp through Mailchimp API. So, all of the emails collected through the WP Subscribe Plugin can be easily stored in your email List. WP-Optimize is a WordPress Plugin that is generally used to clean up the unwanted data in your website database. This Plugin can be easily installed for free on WordPress. This free WordPress plugin helps you score higher on tools like Gtmetrix, page speed insights by increasing your website load speed. WP Smush is an image optimization WordPress plugin. Basically, the plugin helps in reducing the image size of your blog posts without affecting the resolution of the images. WP Smush can be installed for free on a WordPress blog. It also has a paid premium version for users who need premium features. Image optimization is one of the key things for bloggers who wish to do On-page SEO optimization for their blog posts. It is like an all in one WordPress plugin. Jetpack has both a free version and a premium version as well. One of the greatest features of this plugin is to reduce the number of an Http request for your blog every time it loads. A higher number of HTTP request does impact the blog loading speed in a negative way. It is a WordPress plugin that helps to export your articles from the WordPress dashboard to a word file. Yoast is one of the best free plugins to do On-page SEO for your blog. Here are the screenshots of the settings for Yoast plugin configuration. So every time when you create a blog post or a page, Yoast gives you a set of recommendations to improve the On-Page SEO for your blog posts. Refer to the below screenshot to understand Yoast SEO recommendations. Basically, you need to score the Green indicator for each and every recommendation that Yoast Suggests. Most of the On-Page SEO recommendations from Yoast is self-explanatory. In the Implementing SEO Practice part (Section 12) of this how to start a blog guide, I will be discussing the important Yoast recommendations with you. Step 10: Content Creation & Writing Blog Posts. So, in this section of the how to start a blog guide, you will understand about creating blog posts and content creation for your WordPress blog. The first step in creating your content or blog posts is to select a subject or a topic for the blog posts. you can even think of opening an excel sheet and put in all the subject and topics in your niche that you want to write on your blog. this will act as your content basket. every time you wish to write an article you can then check your content basket and select a topic of your choice to write a blog post. Once you are done with it, then you should move on to create an appealing relevant title for your blog posts. The title of your blog post should add value to your blog readers. You can use tools like Coschedule heading analyzer to write a good title for your blog post. Normally Blog posts with a title like “How to”, Questionaire and list posts do well. A title should be less than 60 characters to ensure it goes good with on-page SEO optimization of the post. Ensure that title has emotional words, uncommon words, common words & powerful intent words. You Should Compulsorily score above 70 for the titles that you create with the coschedule heading analyzer tool. The number of words in Title should be less than 10, keeping in mind with good On-Page SEO Practice. The beginning of Your title should contain the focus keyword of your blog posts. And the title should add value, it should not be a vague title. The next thing that you need to do once you have created a title is to do a proper SEO keyword research for your blog posts. Now you can refer to my article on Niche Keywords to understand and get a better idea about keyword research. You can also use free tools like Google Ads keyword planner to estimate the search volumes and competition of your keywords. Because I assume that most blogger who is just starting will not have big money or budget to spend on advertising and tools. So, hence it is a good idea to put your efforts in SEO along with free SEO tools to get free organic targeted traffic for your blog posts. When you are learning how to start a blog, it is important to know about the content structure of blog posts. a) Click on Posts on the left side of your dashboard. b) Click on Ad new under Posts. To manage your drafts & published posts click on All Posts. And then click on edit button below your required post. The introduction part of your blog post should give an introduction about the topic and solution that your blog readers are looking for in the post. It should provide a preview of the outcome of the blog post. In simple words the introduction should give a short idea about “what is the solution?” and “why your solution is the best to the readers?”. You should write the introduction paragraph in such a way that it leads your blog readers to read the full explanation part of your post without diverting their attention. You should also include your focus keywords at the beginning of the introduction part of your blog post. As a good practice, you should include your focus keyword within the first 2-3 sentence of your introduction. Also, you can think of you including the main heading right above the introduction part of your blog. The main heading should be in H1. And ensure that your H1 contains your focus keyword. In the middle of your blog post, you will be writing the explanation part of your blog post. You should convey the benefits to your blog readers in the explaination part. The middle explanation part of your blog post should consist of subheadings in H2, H3, H4 and as well as subparagraphs, sub sections. In the explanation part of your blog post, you should try to go in depth as much as possible about the solution you are writing about for your blog readers doubts, concerns, and problems. The thing is that your blog readers should not be left with confusions and doubts after reading your article. You should explain in detail each and every individual step that your blog reader has to perform in order to find a solution to his problem through your blog contents and articles. For example, if you want to write on “how to advertise on google search”, then you need to break each and every step and explain every step in detail for your blog readers. First, you can think of writing about how to sign up to google ads and then you should explain in detail about creating ad groups, Ads. After that, you should write in detail about the importance of keywords in search advertising and keyword optimization for your ads. And finally, you should explain about bidding and budgeting. Like this, if you write a well-researched article in depth that explains each and every step your blog reader has to perform in order to get the solution to his problem then your article and content will get more readers and Google would rank higher your articles. Also, a well researched in depth explained article will add more value to your blog readers. Instead just imagine if you publish an article which just says “Signup to google ads, create ad groups, keywords, and ads and run the ads”, then such type of less depth post will get zero or no blog readers. will add less value to your blog readers. Conclusion part of the blog post. In the conclusion part of the blog post, you should try to summarize the topic that you have written. The conclusion part will be the end of your blog post. So, to ensure that you just summarize and recap all the tactics and tricks and solutions that you discussed in your blog posts. Also while concluding your blog post, do not forget to ask your blog readers to share your blog posts on social media sites. because that would help in increasing social media visibility for your blog. Content is the heart of blogging. Without good content, you cannot succeed in blogging. So, while learning how to start a blog you must give the highest prominence to create High-quality content on your blog. In the later sections of this how to start a blog on WordPress Guide, You will learn more tactics about the best On-page SEO practices and also you will learn Optimizing your blog posts & Content for SEO. So, just ensure that you continue further to read this how to start a blog and make money article. Also, you must add a featured image and relevant categories for your blog post. After you finish editing your post just ensure that you assign your posts to the relevant categories. Blog Monetising is defined as the process of monetizing your blog in order to earn an income through your blog. Most people learn how to start a blog with the aim of earning a good income through blogging. You would definitely need to invest time and efforts to understand how to create & promote great content. And while learning how to start a blog you would aim to earn a good income from blogging. It is definitely possible to monetize your blog to earn great money. Many top bloggers earn six-figure monthly income through blogging. You have to use the proper tactic to monetize your blog to earn good revenue. But first, you should have high-quality articles on your blog if you want to monetize your blog. Selling products, courses, and guides in your Niche & area of interest. It is a blog monetization method wherein which bloggers earn income through offering consulting service for their clients. Suppose I’m a digital marketing blogger. So, I would like to provide digital marketing consulting service to my clients through my blog. I had even created a special landing page for my consulting service. This page has a beautiful content, explanation on hiring a digital marketing expert. The content on the page also covered the challenges of recruiting digital marketing experts in India. My consulting service page also provides an overview of who I’m & my skills, expertise, and other related things. For me, the mission is to rank on top of Google search engine. I want to rank my digital marketing consulting service page. So, I have written a long version of the 3000+ word article. Also, I have ensured that the article is thoroughly SEO optimized. The main difference in creating a landing page for your SEO & Paid search advertising is that Paid search Ads landing page should contain more pointers and service should be explained in a short & simple way without too many paragraphs. You should also insert keywords in your landing page for running paid campaigns. Whereas for SEO you would need a landing page that is filled with High quality 3000+ word content in order to rank on top of google and get more clients for your business. Be it you are creating a landing page for paid search ads or SEO efforts but some of the common things that every landing page should possess are relevant images, testimonials, your unique value proposition, lead magnets, CTA and so on. Here is a step by step guide to creating landing pages for paid advertising campaigns. Potential clients visit my blog consulting page. They get an opportunity to assess my knowledge in digital marketing by reading my informative blog posts. So, this would be the first step for me to build a business relationship with my clients. Potential clients contact me via form submission, phone, messenger to discuss more on the projects. Generally, the service industry demands a lot of time. So on most days, I end up managing clients digital marketing campaigns for 4-5 hours, billed at $75 per hour for SEO or 20% of the monthly marketing budget for paid ad campaigns. I get a lot of practical expertise by managing various digital marketing client campaigns. So, hence I love offering digital marketing consulting service through my own blog. Similarly, you can also think of providing consulting service through your own blog. Let us say for example you are interested in graphic designing and own a graphic designing blog. Then you can offer a great graphic design consulting service for your clients. And suppose if your friend is a great content writer. So, he is reading this how to start a blog guide to make money then your friend can think of offering amazing freelance content writing service to his clients through his blog. Blog consulting work is not just restricted to the online internetwork. For example, you are a great cook and you have a great passion for cooking. There many great food blogs and cooking related blogs. Now you can also create an excellent food cooking blog by implementing all your learnings from reading this how to start a blog guide. And then you can provide cooking consultation service through your own blog for your clients. Just like me, you can go on to create a nice relevant cooking consultation service page on your blog. And then if you are thinking of using SEO methods to rank your blog page then you would have to write a relevant SEO optimized article. Suppose you are aiming to use paid advertising method to get more potential clients to visit your cooking consulting web page then you need to design a tailored custom landing page. Now even though the cooking work is done offline, you will have great opportunity to connect with people who need cooking experts consultation for their special events (lavishing marriage, birthday parties, festivals etc), luxury hotels, cooking contests and so on. All of this would help you earn a great income through your cooking or food blog. But here in this example also the main idea remains the same. You would create great articles and blog posts around cooking. And this would help you attract more clients for your cooking consulting service through digital channels. And regarding consulting service charges, you should set your own price depending on the scope of the work, your expertise, clients organization, and clients geographical region. I hope you got great ideas about blog consulting in this part of how to start a blog and make money guide. Next, in this how to create a blog guide, you will learn about affiliate marketing tactics to monetize your blog. Affiliate Marketing is a process in which bloggers earn income & commissions by being an affiliate of a company & promote the products of that company through their blog audience. It is important to choose the affiliate program wisely that you want to promote on your blog. You must promote products that are valuable to your blog readers and also belong to your niche. for example, if you own a digital marketing blog it is better to be an affiliate of a digital marketing tool provider company. And promote that digital marketing tool to your blog readers. Similarly, for a health blogger, it is better to promote a health care product to the blog readers by being a health care affiliate. Generally, your affiliate marketing activities will be tracked through a unique affiliate link. Most companies which have an affiliate program provides unique tracking links for their affiliates and partners. These unique tracking links help to track easy and every affiliates signup, conversions, commissions & other data. Every time your blogger clicks on your affiliate link and makes a desired action like a form fillup or a purchase you will be paid a good commission amount depending on your affiliate program. Some companies pay commission to affiliates for leads (form fillups, downloads etc) while others pay commission to affiliates for sales (purchase). Also, all the required promotional materials and content will be provided to affiliates by their main company. So, different tactics can be used to monetize your blog with your affiliate links. You can use display ads, banner ads, hyperlinked text in an effective manner, widgets and so on to monetize your blog with affiliate links. Different companies provide different commission models for their affiliates. Following are the popular affiliate commission models in the industry. In CPA Commission Model affiliates are rewarded a fixed commission by companies when every time affiliates acquire a new potential prospect (form fillup, leads, guide downloads etc) for the companies business. For example, A company would pay $20 to affiliates for every single unique email signups. In CPS based affiliate programs an agreed reward is given to affiliate when every time affiliates refer a new customer who makes a product purchase. For example, Rankwatch an SEO software tool company rewards a $250 commission to affiliates for their each and every referrals software product purchase and sales. So in these type of affiliate programs companies will agree to pay a percentage of commission every month to affiliates who drive sales qualified prospects which make a product purchase & subsequently make monthly product renewals as well. Say, for example, Berush offers 40% commissions for life long to their affiliates for every referral product subscriptions & renewals. Some of my favorite affiliate programs that I work with and make a good income from my digital marketing blogs are Berush affiliate program, Bluehost affiliate program, Hello bar affiliate program, WP Rocket affiliate Program. But if you are owning a blog in some other niche like health care, travel, food then you will have to make your own research about the best affiliate programs for your niche. Selling Products, courses, guides in your niche & area of interest. When you are learning how to start a blog and make money you shall even think of promoting your own guides, courses to your blog readers and earn a great income. For example, digital marketing bloggers like Neil Patel, Digital Deepak, and others offer very valuable courses and guides through their own blogs. Suppose you are owning a health care blog then it will be great to sell fitness guides and courses for your blog readers. In fact, offering blog guides and courses is one of the best ways to make money from blogging. If you are learning how to start a blog and make money from selling from guides & courses then you need to add great value and informative tips to your blog readers. Basically, your blog content & blog guides should provide a solution to your blog readers problem and doubts. Also, in my opinion, if you are learning how to create a blog and make money from selling courses and guides then you should create both a free version of your guide along with the paid premium version of your guide. Because your blog readers or people, in general, will love to check out the free version of your guide & also read all the informative things in your blog content and free guides. If you create valuable content & valuable free guides for you blog readers then they will definitely purchase your paid guides as well. This would ultimately lead to more and more revenue, income for your blog. If you partner with advertising networks basically you will be paid from the advertising networks every time your blog readers click on the ads or just have an impression over the ads while they read your blog content. Some of the popular advertising networks among bloggers are Google Adsense, Media.net, Chitika, Propeller ads, Adpushup, Bidvertiser, and others. The signup process for this advertising network is straight forward. After the advertising network companies receive your application they will review your application. Create great content for your blog readers. Don’t just fill out your blog with a ton of ads. Take care of the user experience. In Direct Ad selling, you will be directly selling your blogs advertising space to advertisers. Here there will be no interference from any advertising network. Advertisers would directly contact you. You would display the advertisements on your own blog. And you will be paid by the advertiser for displaying the ads. The amount, however, is negotiable between both the parties. Many Digital Media Planners are always in search of relevant niche websites and niche blogs to put & display their advertisements. In fact, Direct Ad selling can help you earn more income than partnering with advertising networks. Direct Ad selling is definitely a great monetization tactic. It can fulfill your aim to make money by learning how to start a blog. Many companies are launching new products daily to the market. They would like to see great reviews about their products from experts in the industry. Because even in this digital era reviews are a key component in building trust on your brand for your potential buyer. So, when such companies approach you for a paid sponsored review you might need to first ensure that the product which you are gonna review is in your niche. And then only after you have used the product you will be able to write a great review of the product on your blog. The Product company would pay bloggers a fixed amount for sponsored reviews. Sometimes companies do offer a freemium version of their product to bloggers in order to get sponsored reviews from bloggers. There are many online platforms where in which you can find paid sponsored review jobs. I thought of sharing the link to the Top 27 sites to find paid sponsored reviews through this hyperlink. The video is the next big thing in the digital world. People prefer to videos more than any other form of content. You can easily monetize your videos through Google Adsense. Every time you publish a blog post you can also make a video about your blog post. In that sense, in your videos, you will be talking about all the tactics that you have shared in your blog post. And then you will be inserting your video in the middle of your relevant blog posts through the video widget. When your blog readers are going through your articles they would click on the play button of your videos to interactively learn the tactics you have shared in your blog post. When you have ads running in your videos and more people watch your videos related your blogs then obviously you will end up making great money. Vlogging (making videos) and blogging (writing content) are two different things. When learning how to start a blog you must understand to integrate vlogging with your blogging efforts. This would help you earn higher revenue and income through blogging. Are you looking for driving free organic targeted traffic to your blog?. Then perhaps you must read this section of how to start a blog and make money guide. Here in this part of the how to create a blog and make money guide, you will thoroughly understand about the best SEO implementation practice for your blog. Google Search engine lists 10 organic results per page. You might have noticed for competitive keywords there are a bunch of Ads for the search results. Generally, those are marked as “Ads” in green color by google. But once you scroll down you will find the natural organic results of Google. The most beautiful stats with organic results is that even in 2019, 98% of the people prefer to click on organic search results. Only 2% of the searches result in paid ad clicks. It is a false fact & myth that only depending on paid search channels is good enough. Companies that are starting up & startups that don’t leverage SEO will generally be blown off in the long run. Because paid advertisements require a large budget to get good ROI. And most startups and even bloggers for that matter can afford such huge budgets. And moreover, with paid advertising, you will have to pay money every time a user clicks the ad & visits your website. Whereas SEO could give stable traffic to your blog without any big paid marketing budget. The thing with SEO is that it gives results in the long run. You don’t have to put in a ton of paid marketing budget to succeed in SEO. SEO takes your time investment. Remember time is money. So, if you invest your time into SEO productively then your blog will reap good returns in the long run. Also, SEO gives the best ROI for brands and businesses. Many top bloggers rely heavily on SEO to get quality organic traffic for their blogs. Hence for a blogger like you who are learning how to start a blog, it is highly recommended that you invest your time on SEO Strategies & rank your blog on top of Google search in order to get high organic traffic. But if you are serious about learning how to create a blog in order to get high traffic from SEO then you need to have high patience. Because if you are using SEO then it will take a minimum of 6 months of time to start seeing results and traffic for your blog provided that your blog posts and content are good. I’m definitely not saying that you should not use paid search ads. But the idea is that you should be wise while making marketing decisions. My advice to you is that use paid ads only when you have a higher marketing budget. If you don’t have a higher budget to get traffic to your blog then you should focus on SEO efforts to get higher traffic for your blog. Maybe at some point in time, your blog will be getting a lot of organic traffic which would lead to lots of blog subscribers, leads, conversions & generating great income. Then perhaps it will be wiser to use paid advertising campaigns to promote your blog, guides, blog posts, etc in order to get traffic, subscribers, conversions, sales, and leads. It is a process of selecting the relevant, competitive, long tail keywords that would give good results and high traffic for your SEO strategies. You can use various tools as uber suggest, long tail pro, SEMRush, Google Keyword Planner and others to do keyword research. Most of these tools are either free tools or offer a Free version. Ubbersuggest and SEMRush are my favorite tools to do keyword research. Also, making use of Google auto-suggestions, google trends, a similar search is also a good thing while doing keyword research. So, here in this part of our how to start a blog guide, I will cover the important basic steps and tactics about keyword research with the help of relevant screenshots. You can refer to those screenshots to get more ideas on doing keyword research for your blog. Press Ctrl+Shift+N to open Google Chrome in Incognito Mode. Type the topic of your blog post in the google search bar. For example, my last blog posts topic was marketing with emails. Pick up all the keyword suggestions that google shows you. Also, ensure that the keywords are Long tail keywords comprising of minimum 4 words. Try experimenting by repeating the same process for each and every keyword from the Google search auto-suggestions. Copy & Paste the Keyword suggestions to an excel file. Now Put in all those keyword suggestions to tools like Ubbersuggest, Google Keyword Planner, SEMRush, Longtail pro, and other such tools. Export the keyword data from the tools to an Excel file. Analyze the search volume and keyword ranking difficulty for each and every keywords that the tools suggest along with your list of keyword suggestions that you pulled up from google. Highly competitive – These are those keywords that are giving more profits and conversions for your competitors. Hence more people will try to rank for these keywords and so the keyword ranking difficulty will be higher. 2.High intent – These are those keywords that have a highly positive purchase intent or high conversion intent or a location preference intent from the user. For Example, best email marketing tools, buy SEO tools, top blogging guides, the best digital marketing consultant in India. Generally, high intent keywords will have positive intent words like best, top, good, buy, great in the keyword phrase. 3. High traffic – High traffic keywords are those keywords that have a monthly search volume of more than 1000. These keywords could give you higher targeted traffic to your website. The idea here is to research relevant keywords and add them naturally to your content and blog posts. You should not stuff keywords in your blog. All the keywords should be added naturally. If you wish to learn to do Professional keyword research then just ensure that you read my PRO SEO Keyword research Guide thoroughly to do perfect SEO keyword research for your blog. Some of the key aspects of On-Page SEO optimization are keyword density, mobile responsive page, faster loading time, relevant inbound & outbound links on your blog post, SEO friendly content & content structure and so on. When you are learning how to start a blog to write great articles it is very important to ensure that your content is purely On-Page SEO optimized content. Most of that On-Page SEO recommendations from Yoast is self-explanatory. But here in this part of how to start a blog guide, I will be discussing some of the important Yoast recommendations with you. It defines the percentage of your focus keywords in an article. For example, if you have written a 1000 word article then your focus keyword should present at least 5 times in the article. Which means to say that after you learn how to create a blog and you go on to publish your first blog post your article keyword density should be minimum 0.5%. But as I told you earlier, keywords should not be stuffed. Keywords should be added naturally to your content. Adding your focus keywords at the beginning of your Blog titles & Meta description is a good technique. While learning how to start a blog you should understand the importance of adding images, infographics for your blog post. Yoast SEO Plugin recommends you to add your Focus keywords in the Image Alt attributes and captions naturally. The focus keywords shall be added to your subheadings H2, H3 and so on. Internal links are the links from your blog posts to the other posts and pages within your blog. Outbound links are those links from your blog to other blogs. So, you must add internal and outbound links with the help of hyperlinks and anchor text. Also, you should ensure that your internal links and outbound links, anchor texts add value to your blog readers. A good example of adding an internal link or outbound link through hyperlinks is “best step by step guide to learn “how to start a blog”. And a bad example of adding hyperlinks is “buy amazing blogging tool”. You might wonder why the second example is a bad example. And that’s because it is only asking you to buy blogging tool but there is no value being added to your audience. The core essence is about adding value, not just about asking people to buy. Also, keep in mind that the outbound links from your blog to other blogs should be no follow links. Building Links is very much essential if you want to drive traffic from SEO Method. Link building is the process of gaining relevant backlinks from other authoritative websites or blogs in your niche. Social SEO & Social Links. You need to check the Domain authority, Page rank, Traffic & Niche of your blogs while building links. Domain authority should be minimum 30. Traffic should also be higher. Some of the tools that will help you out with this would be Moz, Ahrefs, SEMrush and so on. Blog commenting is a process of obtaining valuable backlinks by commenting on blogs in your niche. So, you can research and make a list of blogs in your niche. And then you can start leaving valuable, relevant comments on those blogs and obtain backlinks. In the Guest posting, you will try to get backlinks from authoritative blogs in your niche by doing guest blog posts. So, here is a great list of guest posting websites for various niches. While doing a guest post for link building purpose, you must ensure that you add links to only relevant content in your guest post. For example, If I have to build links for this how to start a blog on WordPress guide then I should be making a guest post on topics like how to set up a blog, how to start a blog in India, etc. I always make use of Google trends, Google autosuggest, Google similar results & Ubersuggest to find relevant topic ideas for guest blogging. I cannot simply make a random guest post on a topic like an ecommerce case study and get a link to this blogging guide. That would look a bit irrelevant in the eyes of Google. So, whenever you do guest post think about the relevancy of your to obtain backlinks. Also, you must ensure that your guest posts meet all the mandatory requirements of the website in which you make guest posts. In this process, you will identify the broken links of authoritative sites in your niche and inform the webmasters about the broken links. You will, in turn, be rewarded with a backlink to your blog for this effort. So, in this method, you will create an account at various business directories. And then you will submit your blogs and get a backlink from your profiles in the directory listing. Some of the best directory submission sites are Sulekha, Justdial, Google My business and so on. Good examples of web 2.0 sites are medium and LiveJournal. So you will go to these type of websites and make a relevant blog post and obtain backlink. A simple search for “top web 2.0 sites” on google will open up a pool of results of Web 2.0 sites for you. There are many profile creation sites like Linkedin, Crunchbase and so on. So you will create a profile for your blogging business on these websites. And then obtain a backlink from your profile. This is also one of the key factors of SEO. when you start obtaining social links for your blog the blog’s visibility and traffic will increase. Some of the examples of obtaining social links are, making regular blog post updates on Quora, re-edit, Tumblr & LinkedIn. Creating a relevant infographic for your blog posts and pinning them on Pinterest, Making facebook updates about your blog post. Sending out tweets. Sharing your blog post and updates on Instagram and so on. In the latter part of this how to start a blog and make money guide we will discuss more on optimizing social media for blogging. This is a paid activity, wherein which you obtain backlinks from high authoritative sites by organizing an event or sponsoring an offline event for the authoritative website. People prefer visual stuff more than anything. While learning how to start a blog on WordPress you must understand the importance of visual content. Some of the best examples of visual content are infographics, images, and videos. So, after thoroughly understanding how to create a blog and make money, you might be very eager to make your first blog post. But if you want more and more people to naturally link to your blog post then you must have visually appealing content like infographics, images, and videos in your blog posts. Creating infographics and visual content is not rocket science and it does not need a big resource. What you need is a concept to create infographics & free tool like Canva that could help you practically create an infographic. In this section of this how to start a blog on WordPress guide, you will understand in detail about the various blogging tools. Blogging tools help in addressing the specific needs of your blogging journey. For example, when you start implementing your learnings practically after reading the how to start a blog guide, you might need tool’s to manage your email list, you might need tools for optimizing your images. Then You might need tools to do SEO. And then you might need tool’s to check the grammar of your blog posts when you are learning how to create a blog post on WordPress. Then you would need tool’s to check the mobile responsiveness of your blog. Also, you would need tools to check the website loading time of your blog. So, like that for every specific purpose, you might need different tools in your blogging journey. The greatest advantage of blogging tools for new bloggers who are learning how to create a blog and make money is that many of the best blogging tools are free tools and have a free version of the tool. So, in that sense, you don’t have to worry about paying huge money just for tools when you are in the early stages of your blogging journey and are learning how to start a blog and make money. It is a tool from Google that is primarily used for search engine optimization. With search console, we can pull up various reports that are related to SEO. To use the tool, you need to create a free account. And then you have to link your website as a property with Google site search console. Once you are done with this part, you will be able to see the performance of your website on google search results. In the performance reports You can see the number of clicks that your website has got through SEO, top performing pages, queries for which your website page appeared on the search results and so on. Using the inspect URL tool you can even inspect your website URL for errors. With the index coverage reports, you can check the number of pages that are indexed successfully, pages with indexing errors and so on. You can even check all the backlinks pointing to your blog posts and blog pages with the help of Google site search console, although the tool is not a custom advanced backlink checker it does offers some good useful basic features for backlink checking. Also, you can disavow vicious backlinks through the disavow tools under webmaster tools in google site search console. You can also test & submit sitemaps through Google site search console. Suppose when you are learning how to start a blog on WordPress, you would want to create pages and posts for a specific purpose. So each of the posts and pages will have specific URL’s. If these URLs are not properly indexed by google then this will have a negative impact on your SEO campaigns. Here, in this case, Google site search console will help you in identifying the errors associated with the pages that are not indexed. So you can rectify the errors and resubmit for indexing those web pages through sitemaps in Google site search console. So, when you are learning how to start a blog and make money you must get to know the importance & usage of SEO tools like Google site search console. One of the most popular digital marketing tools is SEMrush. When you start writing blog posts after reading this how to start a blog and make money guide, you would want to promote your posts to get more visitors & subscribers. You would use SEO, paid search, social channels to promote your blog posts. In that case, it would be good to have a tool for you to track your SEO keyword position, monitor backlinks, find new keyword ideas for paid search, analyze social media brand mentions and do competitor analysis. Definitely, SEMrush is one such all in one digital marketing tool. The tool has a free version as well. Primarily SEMrush is mainly used for finding keyword ideas for paid search campaigns, SEO keyword research, and Competitor analysis. But the tool also provides useful reports on SEO on-page optimization ideas, backlink reports, domain authority reports, and other SEO reports. Also, SEMrush provides great features like SEO toolkit, Advertising Toolkit, Social Media toolkit and so on. Analytics helps in analyzing your website data. This would provide an opportunity for you to make both technical and marketing decisions, changes for your website to improve the overall performance of your website. Suppose you got thousands of visitors for your blog posts after implementing your learnings from this how to start a blog on WordPress guide. Then you might have visitors from the mobile device, desktops. You might have visitors coming from various geographical locations like India, USA, Europe, Asia and so on. Also, you might have visitors coming from social channels, organic search, direct, referral, paid search and so on. So, the question that comes here is that how would you track these visitors, their behavior, the time they spend on the website? How would you track the traffic source & channel that gives more visitors for your blog? How do you know that if the mobile visitors on your blog had a good user experience or not? All in all, how do you track your website visitors? The simple answer to this is an analytics tool like Google Analytics. It is a free analytics tool. Each free google analytics account will help you create multiple properties and multiple views. When you are learning how to create a blog you can assume that a property is your website. And a view is the data that you would like to view. By default, you will be viewing the Master Data in Google Analytics. The master data consists of the full enter website data. You can create multiple views if you want to exclude any segment of data and specifically view a particular segment of data. It is a social media marketing tool. The buffer tool is useful for scheduling social media posts for your blogs social media pages. Also, buffer provides analytics data for all the social media posts for your social media pages. Suppose after going through this how to start a blog guide you would create your first blog post. And then you may want to use social media to drive more traffic for your blog posts. So, in that case, you will have to regularly post informative content on your blogs facebook page, twitter page, Instagram, Pinterest pages as well. At times on some days you might be busy and hence you may not have the time to release & update your blog posts on social channels. So, in that case, you can easily schedule all your social media posts by using the buffer tool. You will also be able to see the engagement rates for the posts, clicks to your blog posts, audience location data and various other useful data. Hence buffer is a very highly useful tool for your blog’s social media marketing and social media promotion activities. Therefore while learning how to create a blog and make money, you must know about the buffer tool. This is one of the best email marketing tools. So, when your blog starts getting traffic, your blog’s subscribers will also increase. So you would need a tool that would collect your subscriber’s email & name through an API and store it in a list. And then when you wish to send your blog updates to your subscribers you can use MailChimp to create an email marketing campaign. With MailChimp, you can customize and design your email body, include CTA buttons as well. Also, you can easily clean up your email list as well. And then you can even personalize your email marketing campaigns with MailChimp is a free email marketing tool. Email marketing gives the highest ROI. It helps in increasing returning visitors for your blog. So when you are learning how to start a blog you should give prominence to promote your blog via email marketing as well. And MailChimp is one of the best tools that can help you achieve all your goals of your email marketing campaigns. Page loading speed is one of the key factors of on-page SEO. So, if you wish to rank your blog posts higher on Google then you must have a fast loading time for your blog. One of the best tools to check the website loading time is Gtmetrix. Gtmetrix is a free tool. All you need to do is just put in your blog URL in this tool. And then the tool would suggest the recommendations that would help you speed up your blogs loading time. If you are using WordPress then you can implement all the Gtmetrix tool suggestions with the help of suitable WordPress plugins. Many at times, webmasters & bloggers have a challenging situation in making their web pages mobile responsive. And with nearly 70% of the google searches being performed with mobile the demand to make faster mobile loading web pages has grown significantly. By using a tool like Google Page Speed Insights you would get to know all the technical suggestions and factors that could help you load your blog faster on a mobile device. Some of the common factors that Google page speed insights tool suggests to improve your blogs mobile loading speed are browser caching, render blocking source, minimizing HTTP requests, image optimization and so on. Suppose for example if a blog visitor visits your website from his mobile and he finds the website navigation too much difficult then perhaps that visitor might just leave your website. These type of things are definitely not a good sign. So when you are learning how to start a blog on WordPress you must understand the prominence of creating a mobile responsive blog. Also with the help of Google Page Speed insights tool you can check your blog for desktop optimization as well. Basically, This is a tool that would help you analyze if your blog website page is mobile friendly or not. Google Mobile-Friendly test tool provides you suggestions regarding improving your blogs mobile versions content width, Clickable elements distance, viewport and so on. Most of the WordPress themes are by default mobile responsive themes. But if there is anything that the tools like Google Mobile-Friendly Test & Google page speed insights suggest you do in order to make your blog more mobile compatible then you can use suitable WordPress plugins. This tool helps you analyze your blogs loading speed specifically on mobile devices. Google has separate search results for both mobile and desktop devices. So, this means to say that even if you are ranking higher for Google on desktop searches but if your web page is not mobile responsive and loads slowly then your blog won’t rank higher on Google mobile searches. Hence you must make your blog web pages load faster on mobile devices. This would help in increasing the chances of your blog of ranking higher on Google Mobile searches as well. Also, Google test my site tool allows you to download reports regarding your blogs mobile loading time. So you can work on those reports in order to make your blog load faster for mobile. When you are trying to understand how to start a blog on WordPress you must keep in mind the importance of faster mobile loading time for your blog web pages. After understanding thoroughly how to start a blog on WordPress you would perhaps start to practically write blog posts on your blog. When you are writing a blog post in a flow you may not want to disturb your writing flow. But there will be so many things that need your attention like grammar, spacing, misspellings and so on. The best solution to remove the grammar & spelling errors from your blog post is to use the Grammarly tool. The tool is available for free & it can be installed as an Addon for your chrome browser. So Grammarly would automatically detect errors in your blog posts paragraphs and suggest you remove those grammatical errors & misspellings. Suppose when you start creating blog posts after reading this how to create a blog guide you can remove all of your grammar errors & spelling mistake errors with the help of Grammarly. You might remember that this tool was mentioned is one of the previous section of this how to start a blog on WordPress guide. We came to know about this Coschedule heading analyzer tool while understanding how to create a title for your blog post7 blog pages. But here in this part of the how to start a blog and make money guide we will learn in detail about the tool. The Coschedule heading analyzer tool analyses your blog post titles. It closely analyses the common words, powerful words, emotional words, uncommon words in your blog headlines. Also, it has the ability to detect the sentiment of your blog titles. For this how to create a blog guide I have created & added my blog page title as “How to start a blog | How to create a blog to make great money”. Now when I put my title in the heading analyzer tool it soon detects that my blog page title has a positive sentiment. Based on its own calculation the tool assigns a score for your blog titles. It is very important for your blog page titles to score at least 70 with the Coschedule heading analyzer tool. While learning how to create a blog, you should give greater prominence to On-Page SEO as well. And Creating great titles is one important aspect of not just On-Page SEO but for creating blog good posts as well. This is one of the best tools to optimize and compress the size of your images. When you create images or take screenshots to insert in your blog posts, you should compress the size of the images. Because every extra bit of size of your images will make your blog load slower. The Tinypng tool helps in compressing the size of your images up to by 75%. It reduces your image sizes significantly. But the beauty of this tool is that the compressed images will have the same high resolution as that of your uncompressed images. So, while using the Tinypng tool you don’t have to worry about the resolution of your compressed images. The tool would ensure that the compressed images have high resolution and are of high quality. It’s a tool that is to be used for doing keyword research. It is a free tool. And it provides targeted keyword ideas for your blog SEO efforts. I have also demonstrated the usage of this tool practically with screenshots in the previous section 12 of this how to start a blog guide. Social media could perhaps eventually become one of the largest sources of traffic for your blog. You must integrate social media profiles & social sharing buttons with your blogs. Some of the popular social media platforms are facebook, twitter, Linkedin, Instagram, Pinterest. According to reports, Facebook has nearly 1 billion users. While Twitter and Pinterest, Linkedin, Instagram also have millions of active users. When you integrate social media with your blog, your blog readers will be able to follow your social media pages & share your blog post on social media sites. So suppose you published a new blog post next week after reading this how to start a blog guide. And then you integrated facebook, twitter & LinkedIn sharing buttons to the blog. This can get more and more visitors to read your blogs through social media channels. The idea here is that when you write high-quality articles for your readers your readers will love your articles. So that would encourage them to share your article on social media sites with their friends. Just imagine for example that 100 people shared your blog post with their friends on social media sites. This means that literally, you got 100 people to promote your articles on social media channels. When these 100 people share your blog post, their friends, family, and everyone would be able to see your blog post update in their news feed. If your content is relevant then many of their social media friends will also start sharing your blog post. So very soon you might have another 50 more people sharing your posts. let us imagine very soon that your social shares of your blog post got increased to 150. Again the same process repeats. Those 50 more people will share your blogs with their friends on social channels like facebook, twitter etc. Your content must be relevant to their friends. So, they will get attracted to your post. And they will start sharing your post on social channels. So in a very short amount of time, you will have 1000 social shares for your blog post. Eventually, in this manner, your blogs social share will grow and it would grow to thousands of shares. These social shares would increase the visibility for your blogs on social media channels. Moreover, this concept of blog social sharing is a pure organic thing. Which means that you don’t have to pay anyone a single dollar or rupee to get social shares. If your content is genuine, informative, adds value, provides a solution to your readers then you can get thousands of social shares for free from your blog readers. These social shares will give you a ton of organic social media traffic for your blog. Ultimately this will help in increasing the overall counts & numbers of your blog visitors. Basically, when you write great content that adds value and provides a solution to your readers, your readers actually become delighted. These delighted readers become the promoters of your blog and they start inviting more and more friends to read your posts through social media channels. When you decide to learn how to start a blog you cannot fully rely upon paid social media ads to get traffic & readers for your blog. Because your blog needs a continuous high amount of relevant traffic. With paid social media ad you will have to pay money every time a visitor visits your website through social channels. And in recent years the cost of Facebook ads has also gone up. Many at times these higher social media advertising cost is not affordable for many bloggers who are starting out and learning how to create a blog on their own. But when you implement social sharing with your blog while learning how to start a blog, you will be in a lot better position to drive a higher amount of organic traffic from social channels. Along with integrating social share buttons, you must also integrate your social media profiles with your blog. For example, let us say you have a facebook page for your own blog. Then you should integrate your Facebook page with your blog. So that when visitors visit your website or blog they can easily follow your blogs on facebook, twitter, Pinterest as well. When you publish an update on your facebook page, the update will be sent to all of your facebook page followers you have. For example, if you get 300 visitors daily to your blog then if at least 30 new visitors start to follow your social media pages daily, you will have 1000+ new social media followers to your blogs in not less than 45 days. So, once you have a few hundreds of followers you can start creating informative posts and publish them on your social media page. These updates will be sent your followers news-feed for free. Your blog posts and updates must be relevant. This helps in getting higher & higher interaction, clicks, and engagements for your social media updates and posts. This would ultimately give you a ton of free organic social media traffic for your blog. Many brands have successfully leveraged organic social media marketing. One such good example that I can give to you is Namecheap social media case study. You will be amazed to see how Namecheap leveraged organic twitter marketing strategy to increase its traffic and sales. So, ensure that you check out the Namecheap twitter marketing case study. You can think of implementing the same tactics to your own personal brand when you are trying to learn how to create a blog. Similarly, you can create a twitter page, Pinterest page and other social media pages for your blogs. To integrate social sharing buttons you need a plugin like Sharify. In the earlier part of this how to start a blog guide, I had given a brief explanation about the Sharify plugin. Also, earlier in this how to start a blog guide, I have explained the steps to integrate your social media profiles with your WordPress blogs. So, in case if you have not integrated social sharing buttons & social media profiles with your blog then please do ensure that you check out to refer the section 5.13 (installing & customizing theme) & section 8.13 (WordPress plugins) of this how to start a blog guide. Step 15: You must post relevant content regularly. You might be learning how to start a blog to build a personal brand. In that case, you must give greater prominence for publishing relevant content regularly as well. You should fix a schedule to publish blog posts on your blog. Regularly publishing content will help you get more traffic for your blog. Also, this helps with your SEO as well because Google wants to rank such blogs that regularly publish relevant content. When your blog is beginning regularly updated with new relevant content it would help search engines like Google to fastly crawl your website and allocate more budget (crawl budget ) to your blog. Also, Google has a custom setting feature in its search engine through which people can opt-in to see only newly published latest blog posts. People prefer seeing new content rather than seeing old content. For example, assume someone is searching for SEO on Google. He or she could adjust his search settings to ensure that he sees only the fresh new results related to SEO that have content published within the last 30 days. In that case, that person won’t be seeing the regular Google results that have content which is outdated and older than 2 years. The crucial thing is that with the advent of the mobile google search engine, a higher number of people are choosing these kinds of settings in their google search results. And these settings allow them to see only search results that are associated with only the latest newly published blog contents. You don’t have to publish content every day. Because it takes at least some 7-8 hours to write a 2000+ word article. And if you are spending daily 7-8 hours daily to write articles, then where will you have time to promote your content? So, here is my simple solution for you. Publish content just once in a week. If that is not possible at least try to publish content once in a month. If you can publish a blog post at least once in a week then on the remaining 5 days of the week you should be spending your time on promoting your content. While you are learning how to start a blog you must understand that you need to put 20% of your blogging efforts in creating content and 80% of your blogging efforts in promoting your content. Basically to promote your blog content you have to put 5 times higher effort than you put the efforts for creating the content. Blog readers will always prefer more and more new relevant content. When you publish more content regularly your blog readers will have a reason to visit your website. So, that would help in increasing your blog traffic as well. Remember that people won’t subscribe or buy a product from your blog right at the first time when they visit your website. They might convert on their 3rd visit, 4th, 5th visit to your blog. People prefer to buy a product from a blog or website that is being updated regularly. For example, assume that you are providing a health benefit guide on your health blog for your blog readers. Now if you do not update your blog regularly then you cannot expect your blog readers to buy or download your health guide. Whereas if a blog has a lot of informative content around health care and provided that blog updates content regularly then the blog readers will be more interested in buying the health guides, fitness guides offered through the blog. Also, publishing a blog post regularly helps in building trust with your potential customers. If the blog or website is not updated from many months then it gives an impression that the business inactive or the business is not trustworthy. So, while learning how to start a blog if your goal is to drive more blog traffic then you must frequently publish relevant articles on your blog. The other thing with publishing content regularly is that it helps in your social media marketing activities & email marketing activities as well. Suppose if you publish a blog post this week then you can update a post about your blog on your facebook page, twitter pages & other social media pages. Also, you can send a blog update to the subscribers in your email list as well. What this does is that it helps in increasing engagement rates of your social media pages & also gets your more retuning blog visitors from both social media channels and through emails as well. Ultimately publishing content regularly will help you increase your blog traffic, subscribers, leads, conversions, sales & purchase of your products. Now in 2019, there are billions of blogs. So, if you just publish one blog post in one year then your blog readers will not get attracted your blog. Because there are so many blogs that have content published regularly. So, why would your blog readers waste their time on your blog which has not many blog posts at all?. Having said all these let’s now understand some of the challenges involved in publishing relevant content frequently. When you learn how to start a blog and publish blog post frequently you might have a tough time discovering the topics and the content ideas for your blog post. So, to find more ideas and topics to blog on, here is what you can do. Let’s say for example you want to learn how to start a blog on social media marketing. Go to google and search “niche” + Forum. Since your blog niche is social media marketing, then you should be searching on google for “social media marketing” + Forum. Now Google will give you search results that are related to the forums in your niche social media marketing. Forums are the place where people regularly go and post their queries, problems. And people post on forums because they are looking to get solutions to their queries. There could be so many people posting queries on social media marketing forums. Or people could also be posting queries about social media marketing on digital marketing forums like warrior forum. People would be posting queries on such marketing forums about how to run a Facebook ad, how to effectively utilize budgets for ads and so on. So, now each of these queries that people post on the forums in your niche will become the topic ideas and content ideas for your blog post. Here in our example, we might find just one forum member posting a question about “how to run a Facebook ad campaign?”. But outside the forums, there could be thousands of people searching on google daily for “how to run a Facebook ad campaign?”. So you must create content that gives a solution for what your blog readers are looking for. This will give more success to your blog. You will have to go through as many as possible forums in your niche manually. Pick up all those questions that are being posted by other forum members. Make a list of those queries and add them to an excel sheet. This would become your content basket. Just think if you can give a briefly detailed explanation for such queries through your blog. Research about the solution to those queries and then publish relevant content. Many people will have the same question just like the one query that you picked up from a forum. So there would be many people searching for the same solution. Hence you should definitely create content for such people so that those categories of people will find your content useful & interesting. Another tip that I have for you to publish content regularly is to Ask your blog readers what they like. See when you learning how to start a blog you must be basically writing content for your blog readers. Because your blog will be successful only when your blog provides a solution to your blog readers. So, there is nothing wrong in asking your blog readers what they like to read. Maybe every week on your facebook page you can ask your blog readers “What do you like to see as your next post”. Or you might even run a poll with your own content ideas and ask your social media followers to choose their favorite content idea. You shall then select the content idea for your blog by choosing the content idea suggestion that gets the highest vote by your social media followers. You must start implementing these practices every week or every other day. Then perhaps you will have a ton of content idea suggestions for your blog. You can frequently post blogs by using these content ideas. Hence when you are learning how to start a blog you must ensure that your blog content is created from your blog readers point of view as well. Ensuring the content published is of high quality. You could be amused by the fact that publishing more content is a great ranking factor for Google. Yes, it’s true your Google rankings will be down if you post very less content than your competitor who would post great content regularly. But it does not mean to say that you would rank higher on google if you publish content daily that is not useful to your blog readers. When you are learning how to create a blog you must ensure that the content you create is meaningful to your blog readers. Because ultimately everyone including Google is thinking of their users all the time. Google wants to rank content that is unique, informative and provides a solution to people. Basically, Google only wants to rank such content which adds great value to their users who use the google search engine. On any day you cannot simply go and make a generic blog post. Because you have to pull up your socks and do proper research before publishing a blog post. One of the best examples of a blogger ranking his blog with just 30 blog posts is Brian from Backlinko. Unlike other bloggers brain posts very less frequently. In fact, until now Brian has only made around some 30+ blog posts. But his blogs get over half a million visitors every month. When you are learning how to create a blog think of creating quality blog posts that is useful and informative for your blog readers rather than thinking of providing a large number of blogs to your readers. This will get you more blog traffic and earn high revenue from your blog traffic. When you are learning how to start a blog you should learn to create a great content basket that is filled with lots of content ideas & topic ideas. This should help you to publish high-quality content and blog posts regularly. I hope I have given you some good tips to publish blog post regularly. You can implement my advice and tips while you learn how to create a blog for your personal brand. A lot of people only focus on publishing new content. But they fail to regularly update their older content. The thing with Google is that they want more fresh content. So, your job is not just about publishing new fresh content. But you have to go and add relevant information every now and then to update your older blog post. Brian of backlinko in his list of 200 Google ranking factors has mentioned that Google does add more juice for older blogs that are updated regularly. So, if you want to rank your blog posts higher through SEO, you should add relevant informative text regularly to your older blogs posts and update them. You can always use Google search console to find the key phrases and queries for which your older blog pots are already ranking higher. And then you can add those key phrases naturally in your content by regularly writing content around those phrases in your older blog posts and update them. When your blog readers visit your website they should have a great experience in browsing your website. Your blog must load faster, easy to navigate, mobile responsive and easy to read. Here in this section of how to start a blog guide, I will give you great tips that would help you in building a blog with a great user experience. Group your blog posts into specific categories and follow proper Hierarchy. When one of your blog visitors landed on your website, he or she would also like to browse the other related blog posts on your website as well. Hence you need to ensure that you group the blog posts and add them to relevant categories. For example, If Jacob, a blog visitor landed upon your website in searching for an email marketing blog. You can imagine that Jacob landed on your blog by searching on google for “best blogs on email marketing”. So, now after Jacob visits your blog he will scan all the content in your blog web page. After reading your post he might want to navigate to other relevant email marketing posts in your blog. Here in this case if you categorize all your email marketing blog posts in one specific category then it will be easier for readers like Jacob to navigate through your blog and read the content. Now let’s just imagine of a false case. How about you Never grouped your blog posts into specific categories? So, in this scenario, a reader like Jacob would find it very difficult to navigate and read all the relevant blog posts on email marketing. Because Jacob will have to browse all of the 100’s of blog pages to find email marketing blog posts on your website since your blog posts are not grouped into specific categories. Also, your blog pages must be created by following THE E-A-T structure. Google wants to rank web pages that are organized properly and follow the E-A-T. When you are learning how to create a blog you need to create blog pages such that they are placed under relevant areas or sections of your blog. For example, James a digital marketing blogger added his SEO blog pages to social media marketing section of his blog. So this will confuse the blog readers. Because visitors would start seeing SEO blogs in the social media marketing section. Ideally, in the social media section blog, readers must be able to see social media marketing blogs instead of SEO blog posts. Thus, the blog readers will have a poor user experience because they are not able to get what they want. Readers are enthusiastically coming to your blog and they are browsing the social media marketing section of your blog. But instead of providing them informative social media marketing articles, you are providing them SEO articles in your blog’s Social media marketing section. All this will just confuse and distract your blog readers since your blog has no proper E-A-T Hierarchy. Another classic simple example of wrong website Hierarchy is an e-commerce website showing men’s t-shirts under Men’s pants section. This will lead to a poor experience for the website visitors. Because literally in simple words the people are not able to see and get what they want from your website easily. Hence when you are learning how to start a blog you must design your blog by adding relevant categories. Also, you must ensure that blog pages are organized and structured in a proper Hierarchy. Navigation bars helps blog visitors easily to navigate. A blog reader might be interested in reading various topics and blog posts. In a blog, different posts will be published on different pages. So, having a navigation bar will allow your blog visitors to freely navigate through all of your blog pages and read your content. For example, if you think of my own blog Digital Santhosh, I write content around various verticals of digital marketing. My blog has content related to email marketing, social media marketing articles, inbound marketing articles and so on. I group each of my blog posts into specific categories. And I have created a navigation bar on the home page of my blog. This navigation bar has a Label name “blog”. In this navigation bar, I have added links to various categories of my blog like Email marketing, Web Analytics, etc. So, what this navigation bar does is that it helps my blog readers to navigate to various categories of my blog articles. Hence my website visitors can easily navigate to their required pages. This ensures that my blog readers have a good user experience. Also, You can think of adding Right sidebars to your blog. Again if you take an example of my blog Digital Santhosh, I have a right sidebar for showing the recent posts, contact details, categories of my blogs. If my blog visitor wants to contact me after reading a blog post then he can see my contact details displayed in the right sidebar through the contact widget. Similarly, if a blog reader wished to read my recent posts then he or she can easily click on my recent post links on the recent post widget in the right sidebar. Basically here the blog visitor can easily read all my recent posts by easily navigating through the right sidebar. The practical steps to add the Navigation bars, Menus & widgets has been discussed in Section 7 of this how to start a blog guide. When you add internal & external links to your content it will be more helpful for your blog readers. So, when people are reading your blog post if you link them to relevant content within your blog or link to another blog it will add more value to your blog readers. Thus ultimately helping in increasing the user experience of your blog. Nobody would like to read long paragraphs. So when you are writing a blog post you must create only short paragraphs with 2-3 sentences. That way it will be easier for your blog readers to go through your content. Don’t forget that your blog is basically providing a solution or informative tips or advice to your blog readers. So you actually should be writing for your blog readers who are humans. Just don’t write content as if though you are writing a boring content for a robot. Ask your blog readers questions. For example, when I wrote content for my digital marketing consulting service, I included questions like “How to hire the best digital marketing expert in ”. These type of questions will help you in interacting with your readers. This would make your content very for your blog readers. Thus it helps in improving the user experience for the blog. Infographics and images are crucial for a blog post. Because blog readers like to visualize your content rather reading all the text in your content. In the next section of this how to start a blog guide, you will understand more about creating infographics for your blog posts. We have discussed creating popups through the hello bar tool. But you must ensure that your popups should not lead to a poor experience for your users. Just imagine how your blog visitor would feel if he is welcomed by a dozen popups?. He would definitely quit the website. So, you will have to test various variations of your Popups and see what suits best for your blog readers. It is true that Popups help in collecting subscribers email. But you must ensure that the Popups are relevant to your blog readers. and the popups should not be distracting your blog readers by regularly intervening them while they read your posts. In the earlier part of this how to start a blog and make money guide, we discussed mobile responsive web pages, faster loading time, responsive website design and so on. All those things are important for having a good user experience for your blog. I hope you got some good idea about improving the user experience for your blog. When you learn how to create a blog You can definitely go ahead and implement my suggestions to improve the user experience of your blog. Step 17: Create and Upload infographics and images for the blog post. I know that already many times I have stressed the importance of infographics in the earlier section of this how to start a blog guide. But here in this section you will learn about infographic tips and to practically create infographics for your blog posts. Blog readers would love to see your content visually. Infographics and images help your blog readers to understand your content very easily in a better way. With infographics, your blog content would reach your user mind in a much more effective way. When you are creating an infographic you don’t have to try to put in all the explanation of your blog post in Just one infographic. Instead, you should focus on making a relevant infographic to your audience. For example, In this how to start a blog guide, I have used multiple infographics for each subheading and subsections. I haven’t tried to visually explain the entire guide with Just one infographic. 1: Understand the main theme and topic for which you are creating the infographic. 2: Think of correlating the icons, imaginary shapes, designs, visuals that you can relate to the topic of your infographic topic. 3: Go to your infographic tool and open up a blank infographic. 4: Now start practically implementing your infographic concept. Rewind Step 2. and start creating practically all the relevant icons, shapes, designs and visuals for your infographic. 7: Save you infographic and add it all the relevant sections of your blog post. Also, it is advisable to keep the infographics as simple as possible. The image should visually speak about your blog content. You should think of including relevant images for each and every subsection of your blog content. When you are trying to explain a practical illustration you should make use of screenshots as well. With Canva you can create any cool image of your own choice, size & dimension. Canva offers you various attractive background themes, icons, free photos. You can make use of all the features in the canvas tool and effortlessly create great images of your blog post without any technical knowledge. Also, you can think of adding Stock Images to your blog post as well. Stock Images are those images that are ready-made images and can be downloaded easily by users. Designers would create cool stock images. And they create stock images for various categories. Say for example on a site like free pick there are many designers who provide stock images in various categories like marketing, technology, web designing and more. The Stock Images offered by designers could either be a free stock image or it could a be a paid stock image. When you start using relevant stock images for your blog post, it would help your blog readers to visually understand your blog topic. Also, uploading relevant images with proper Alt attributes and captions is one of the best On-Page SEO practices. 1: Select the block where you wish to add images. 2: Right click and select Image block. 3: Upload images from your device or add images from the media gallery. 4: Compress your images and reduce the size of your images by using tools like Tinypng. 4: Add suitable Image Alt attributes and Image caption. 5: If necessary you can even think of adding relevant keywords naturally in your image captions and Alt attributes. If you create good infographics that are visually relevant and appealing then more people will start linking to your infographics. This will help in increasing your website backlinks as well. So, if you are learning how to start a blog to write great articles then you have to mandatorily include images in your blog post. When you are creating a blog post you must do thorough research about your blog topic. You would then come across various statistics in while you do research about your post. So, you should include all the relevant statistics with the help of charts in your blog post. For creating charts also Canva is a great tool. Which Language to Chose to write content for the Blog? For more than 50% of the Global population, English is not a native language. The reason why I thought of adding this language matter is that Google is already flooded with a ton of blogs in English content. Whereas when we look into Non-English content, Google has very less content outside of the English language. So, In terms of SEO Perspective, It is a lot easier to rank a blog with content that is in a non-English language. Because there is absolutely very low or less SEO competition for content that is written in a non-english language. Even top bloggers like Neil Patel, are leveraging Non-English content strategy. You might be starting a blog with an intention to do freelancing or earn income through affiliate marketing or make money through Google Adsense. In this case, When you are creating content you should focus on audience and geographical locations which is actually getting you the highest revenue & traffic for your website. For example, if you have a lot of sales and clicks for the affiliate program from English speaking countries like USA and Canada, then maybe it is a good idea to focus more on writing content in the English language. Suppose if Google Adsense is reporting that India is giving the highest Clicks and highest CPC for your blog then maybe it is good that you focus on creating content in Indian languages like Hindi, Tamil, Kannada, Punjabi and so on. For example, If you are offering freelance digital marketing services through your blog, then you need to check your Traffic and Conversion reports for your blog before deciding the language for your blog content. I suppose Google analytics reports indicate that Europe is giving you the highest conversions then you should focus on creating content in European languages like Spanish, French and so on. You might want to write content in English or you might want to write content in any other language but think of your users and think of the geographical regions that are giving your higher ROI. This will help you in a great to decide the languages in which you should be creating the content for your blog. The best way to become a blogger is by showing up regularly. You cannot simply close your eyes and just dream about blogging. Try to get your hands dirty. You have to show up regularly and put in your thoughts and opinions on your blog. My one final advice for people who are learning how to start a blog is that “wake up in the morning, open up your editor or notepad and straight away start typing in your opinions and thoughts in your subject”. It doesn’t matter even if it’s not up to the mark. What it does is that it helps you find your flow for writing a blog post throughout the entire day. It’s kind of prepares you mentally to start writing great blog posts daily. And once you find a flow to write content regularly just ensure that you don’t disturb your writing by unwanted things. Give the highest prominence to share your opinions in your blog, learn more on your niche and gain more knowledge about your subject. Always remember that sharing is caring. And Blogging is all about sharing valuable, informative things with your blog readers. So, your blog would help make your readers life or career or business a lot better. And don’t forget that there are two faces of blogging. One is creating great content and the other is promoting your great content. Make use of SEO to promote your content. Once you start generating revenue you can always think of using paid digital advertising channels to promote your great content. Hope you learned a lot of thing about blogging by reading this article. Please do share this blog on social media sites. That would help many of your friends to learn how to start a blog.